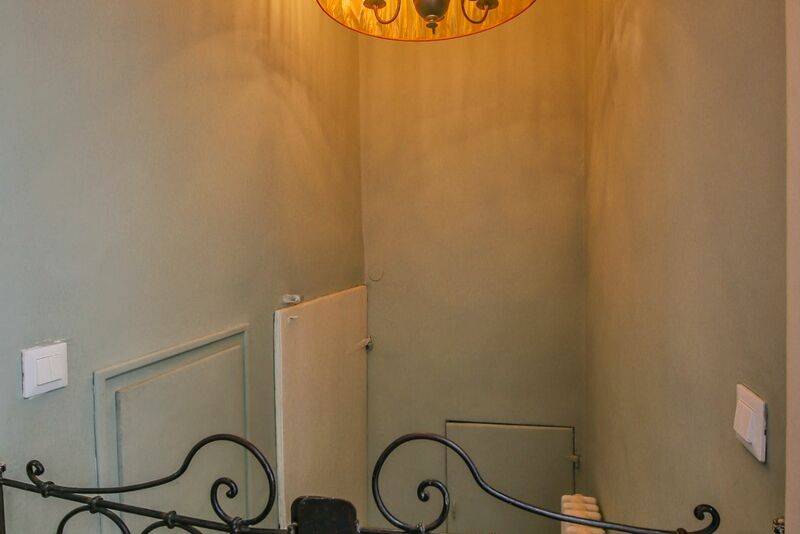 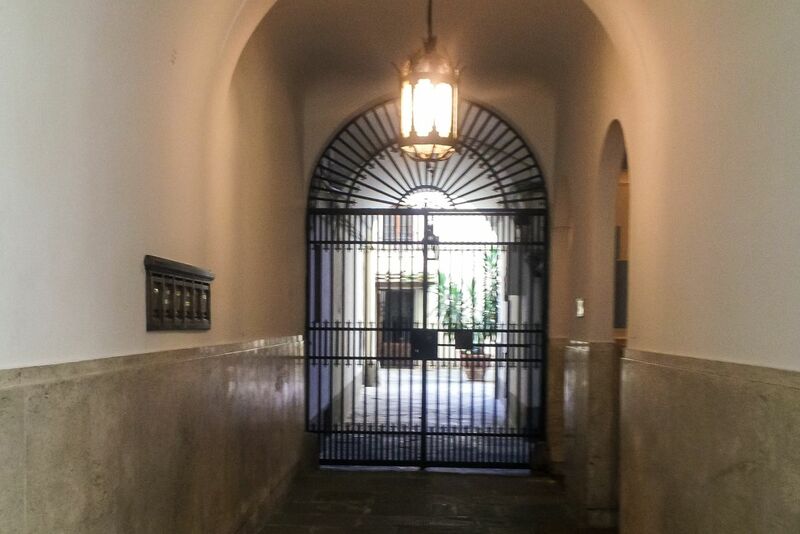 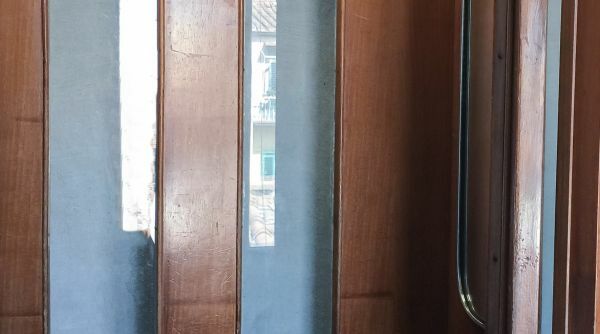 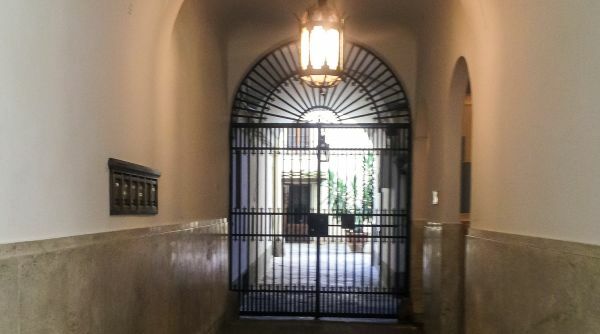 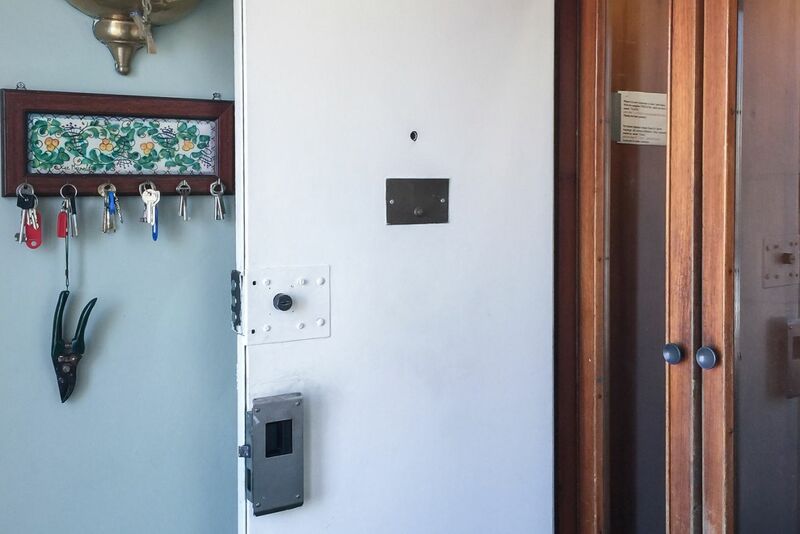 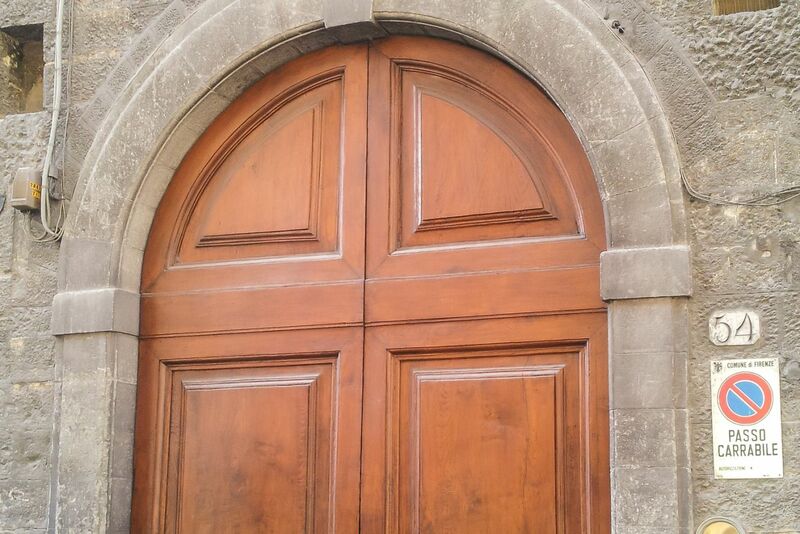 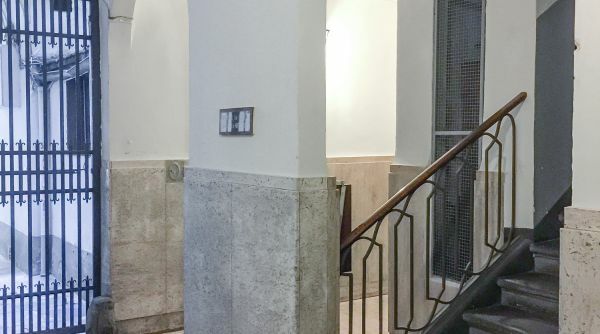 This apartment is located in a historic building on the 4th floor with elevator! 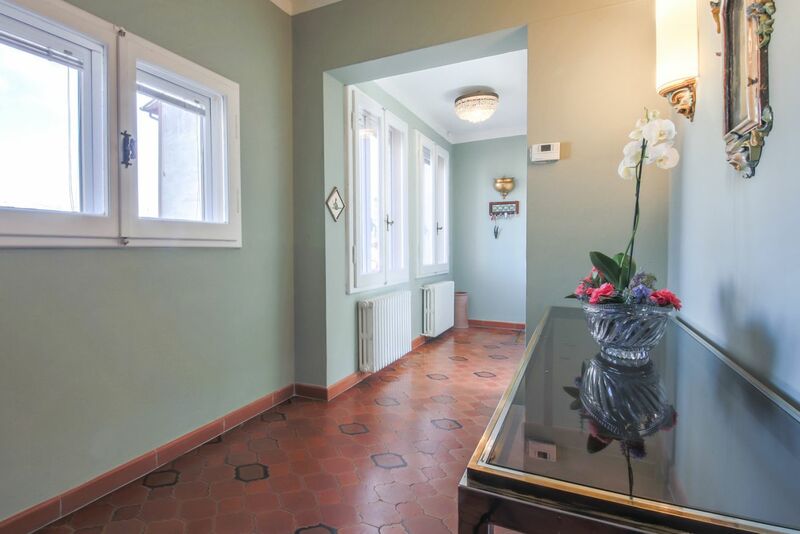 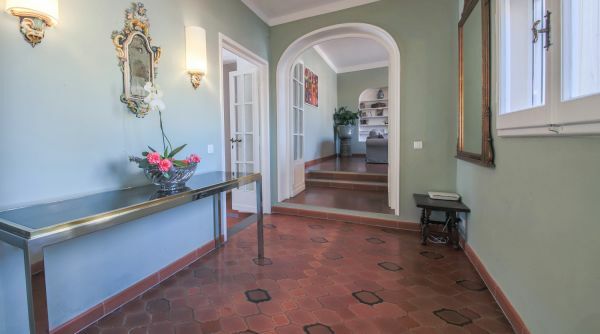 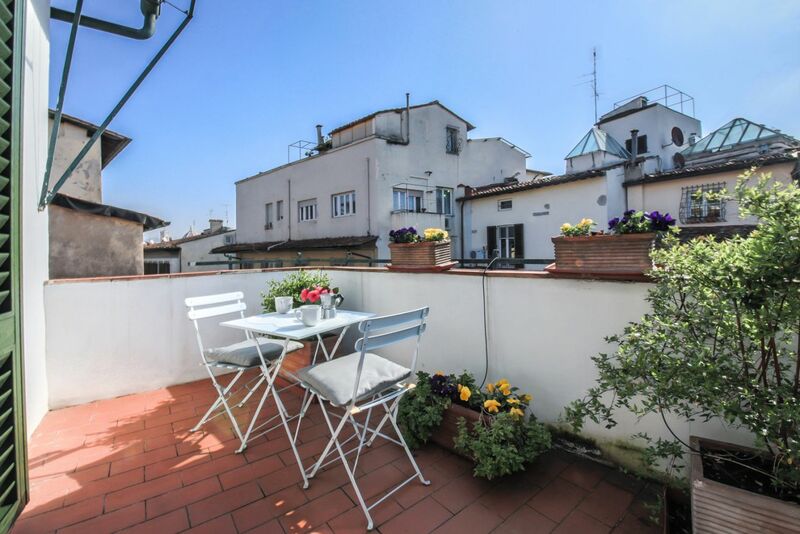 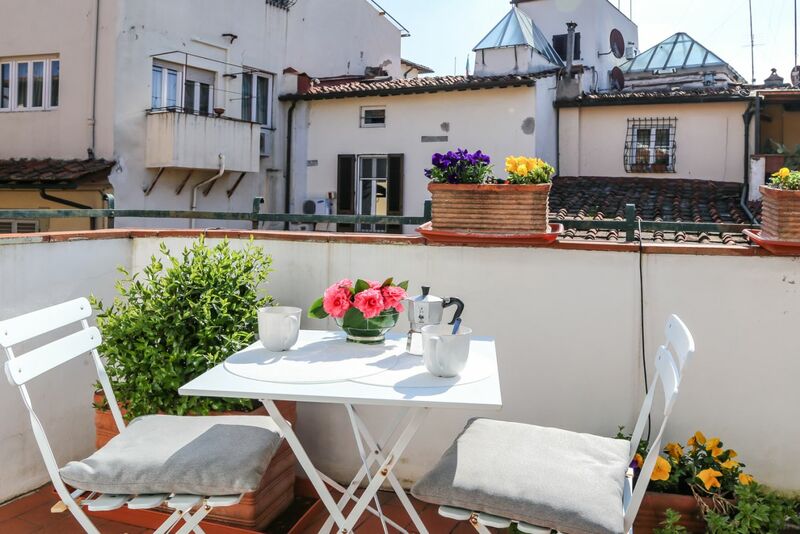 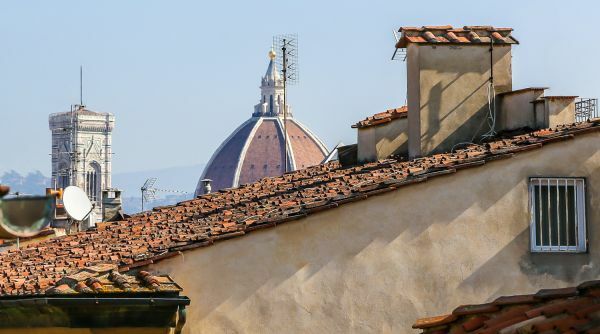 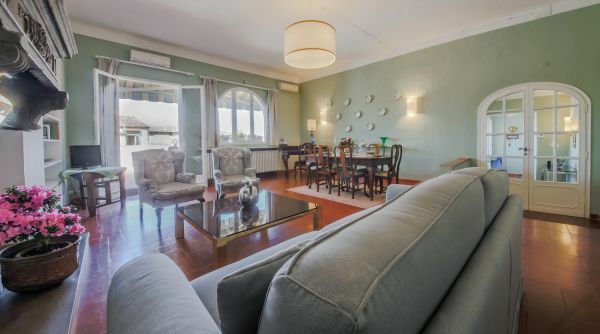 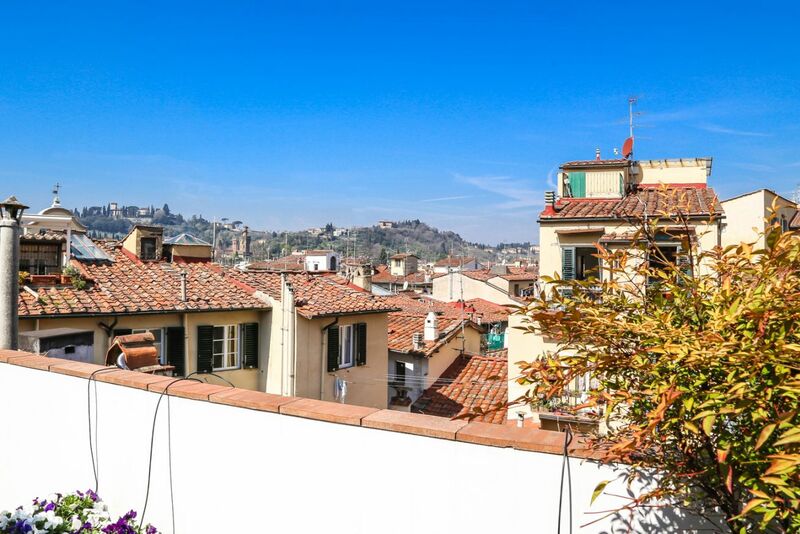 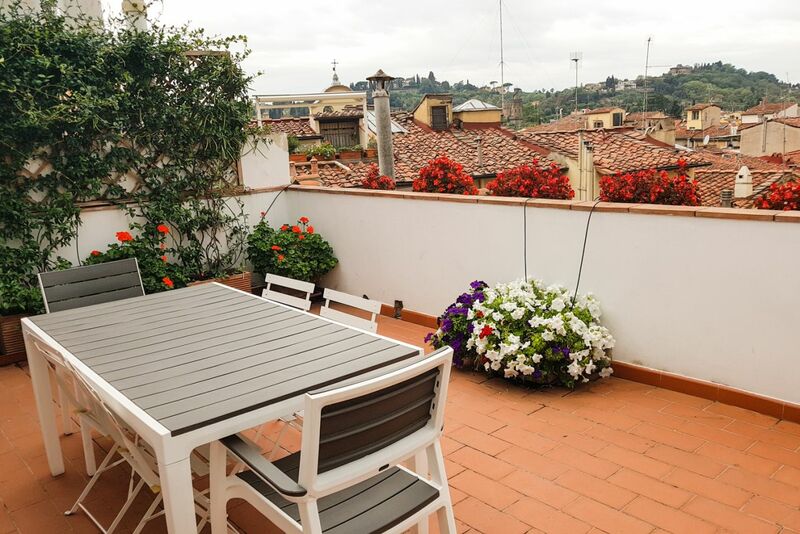 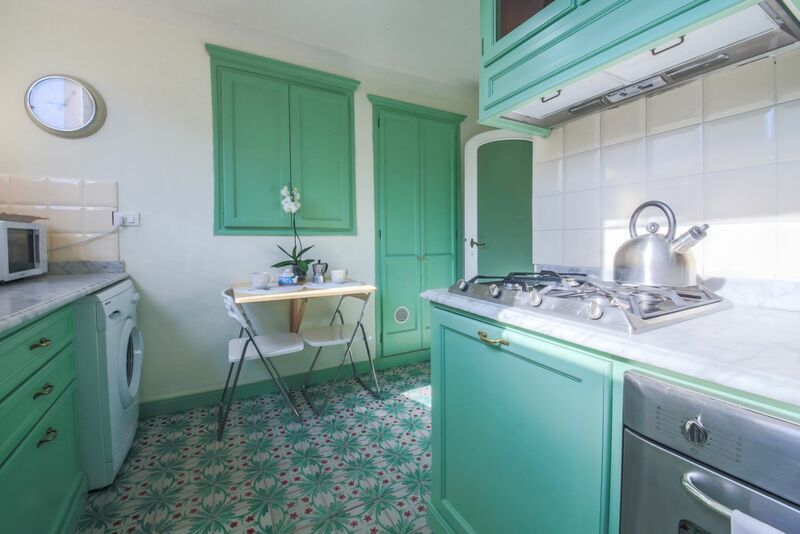 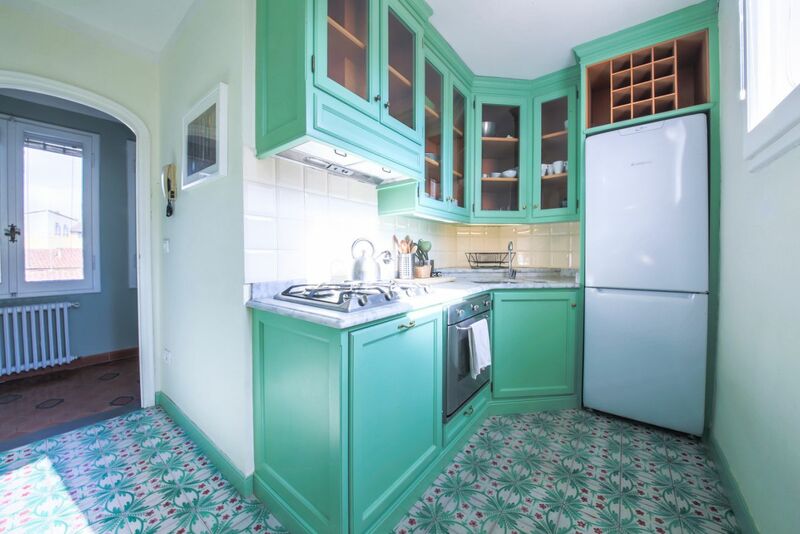 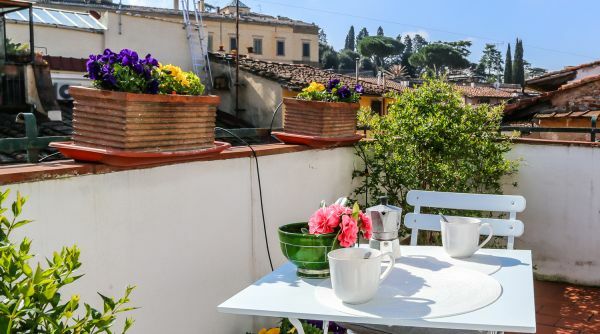 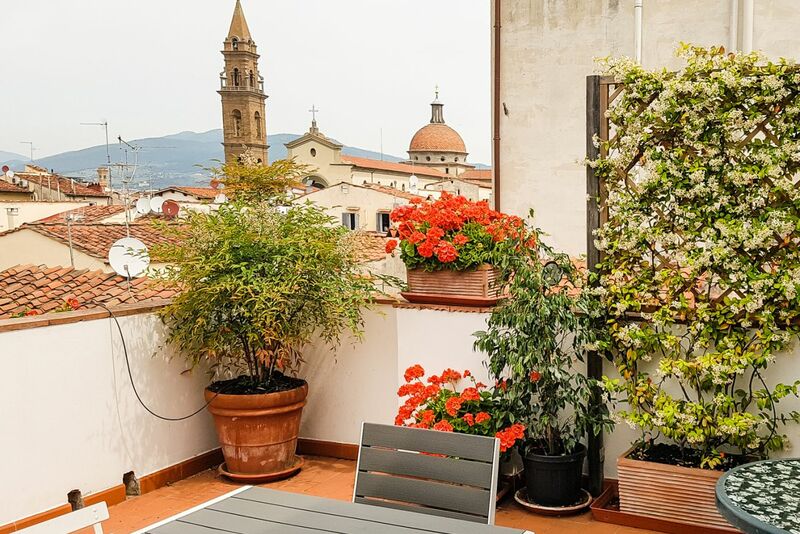 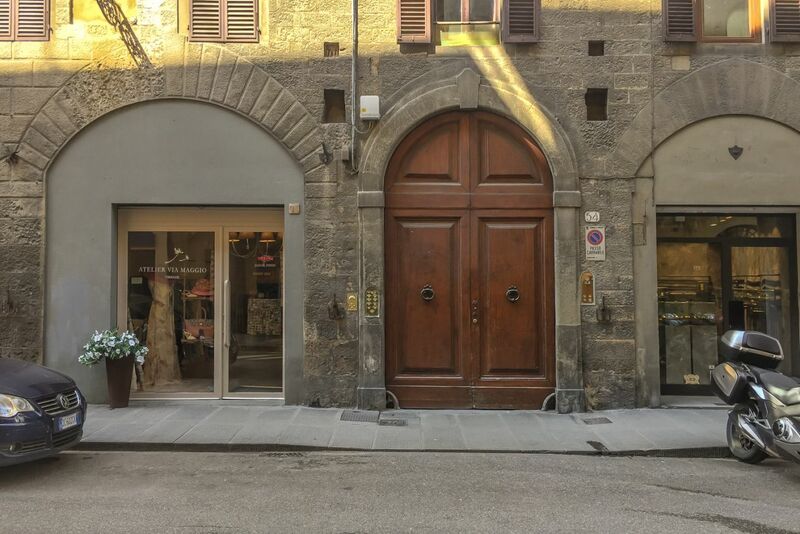 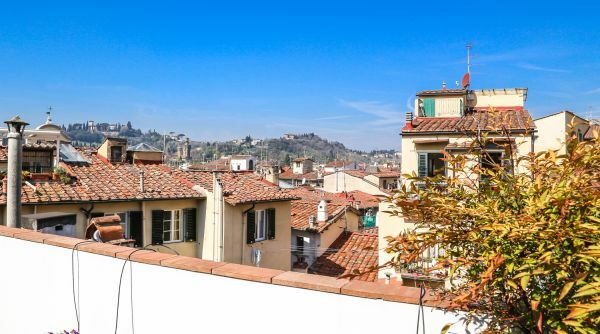 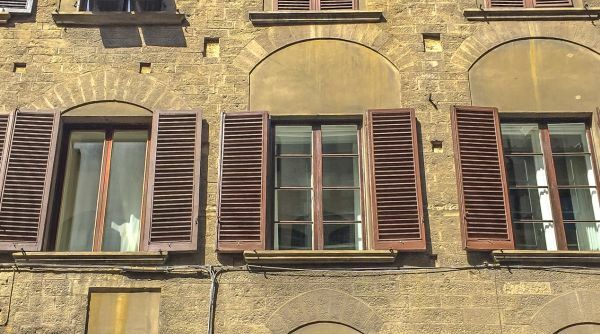 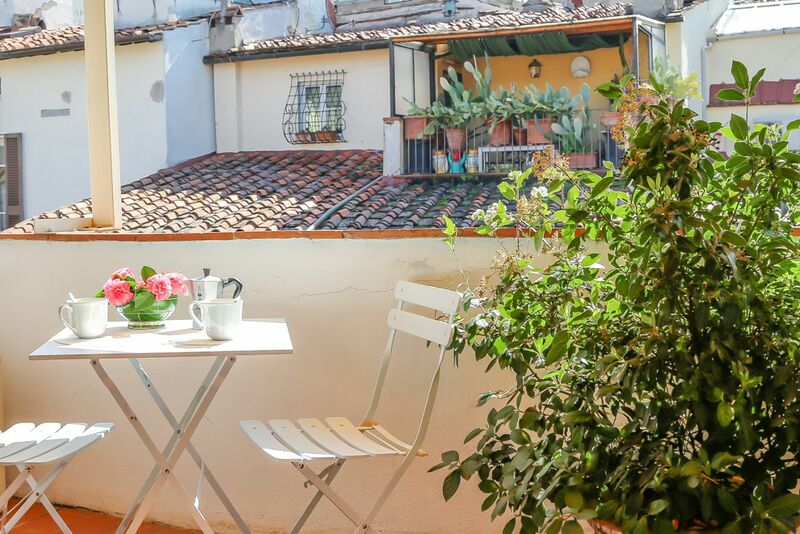 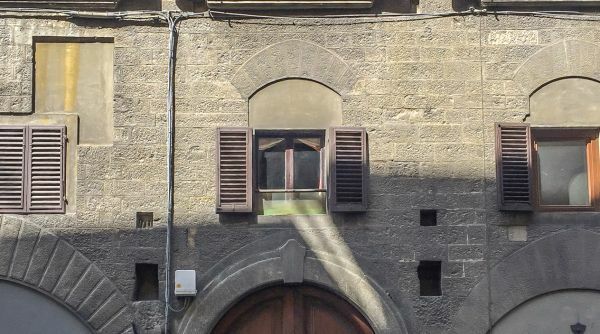 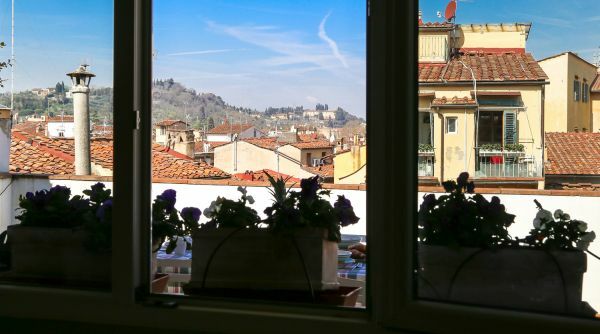 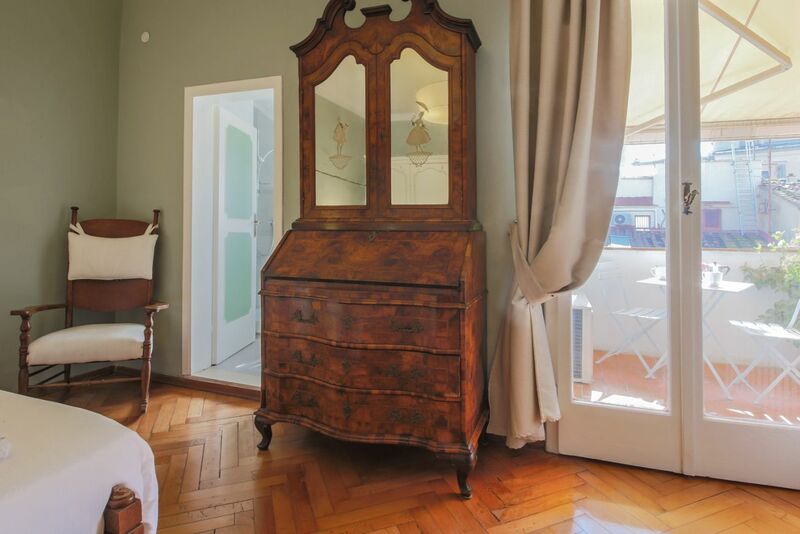 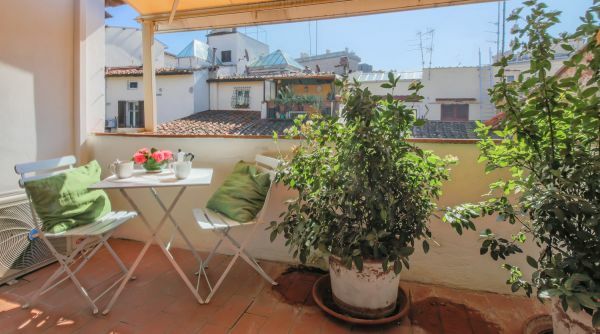 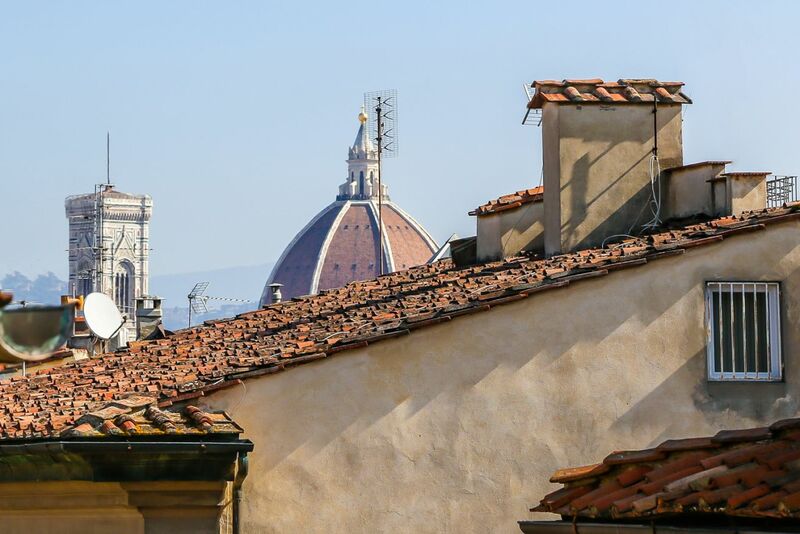 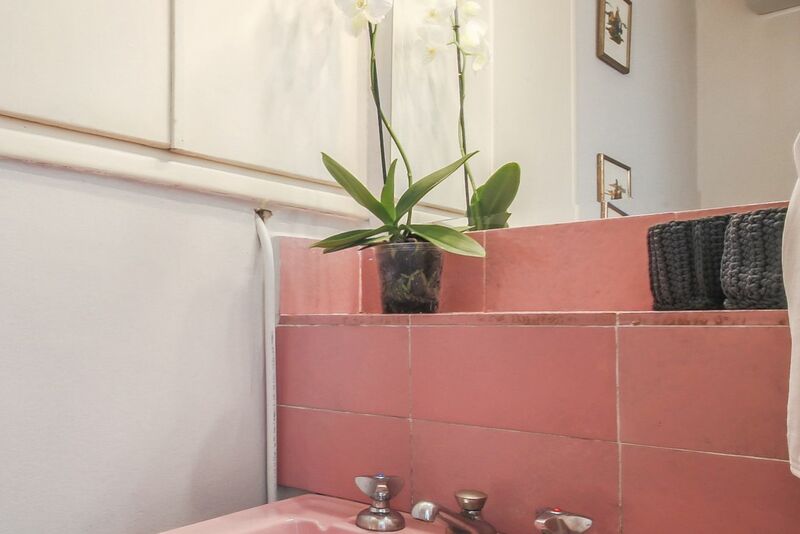 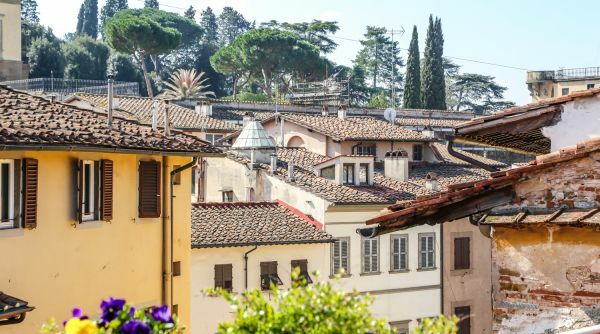 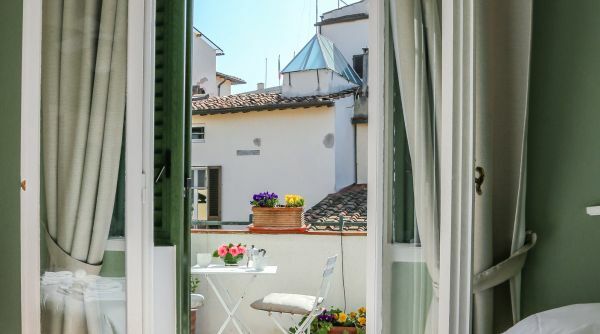 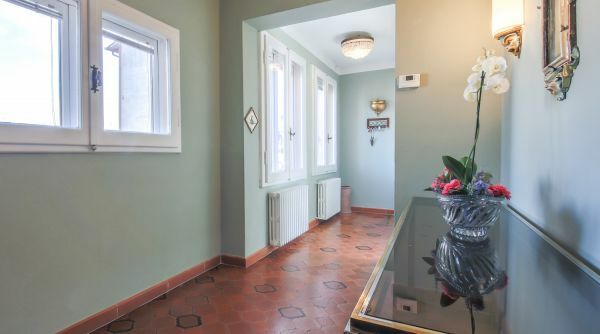 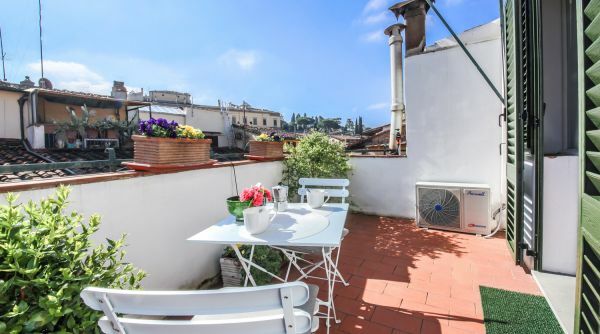 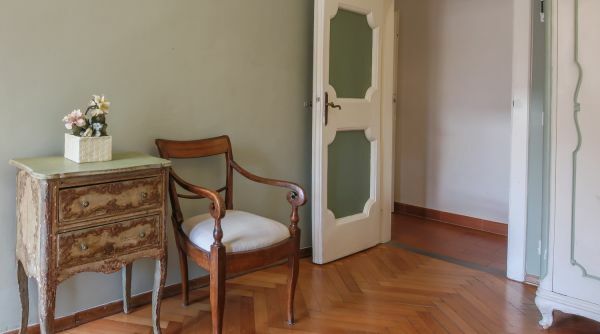 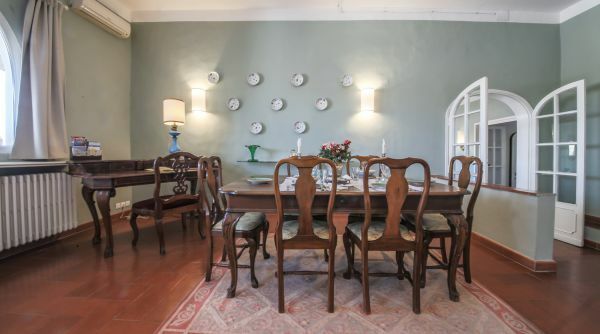 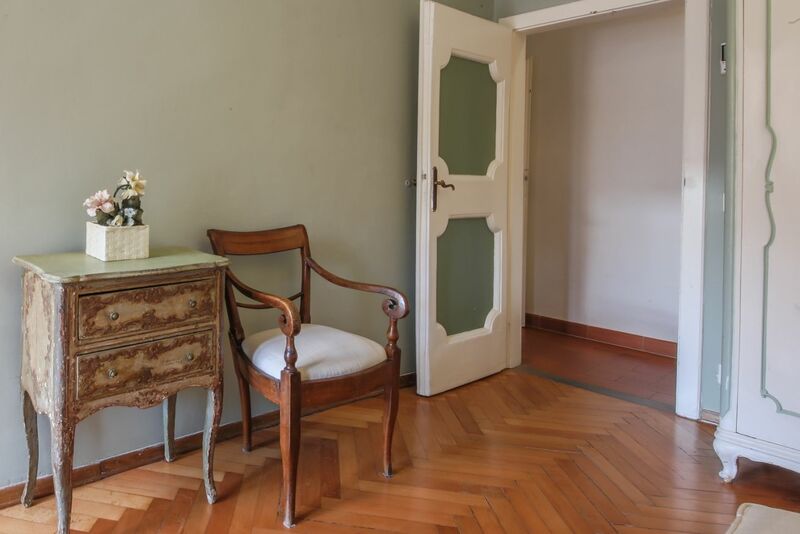 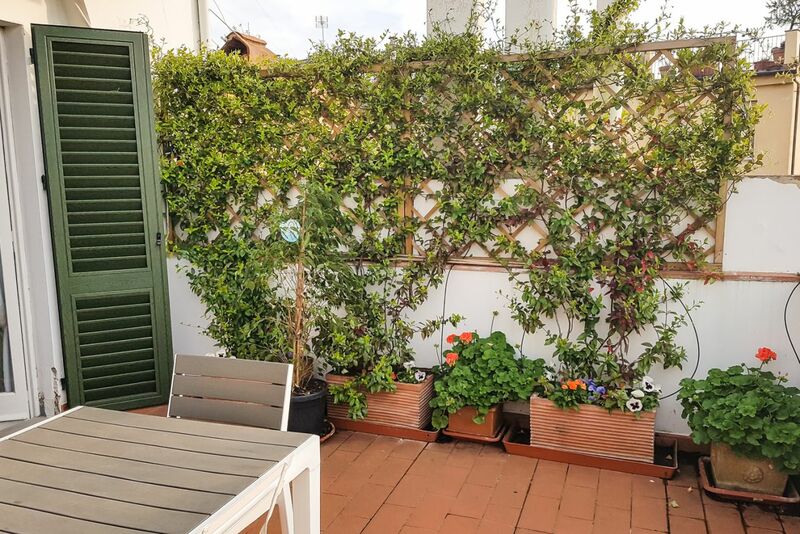 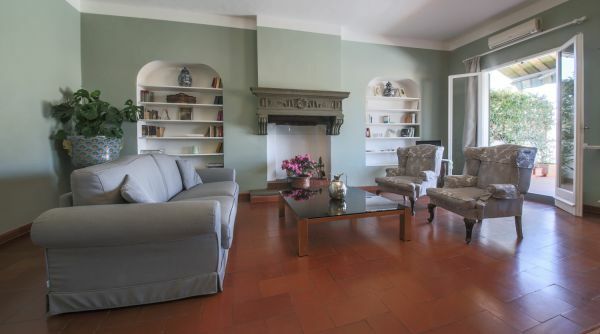 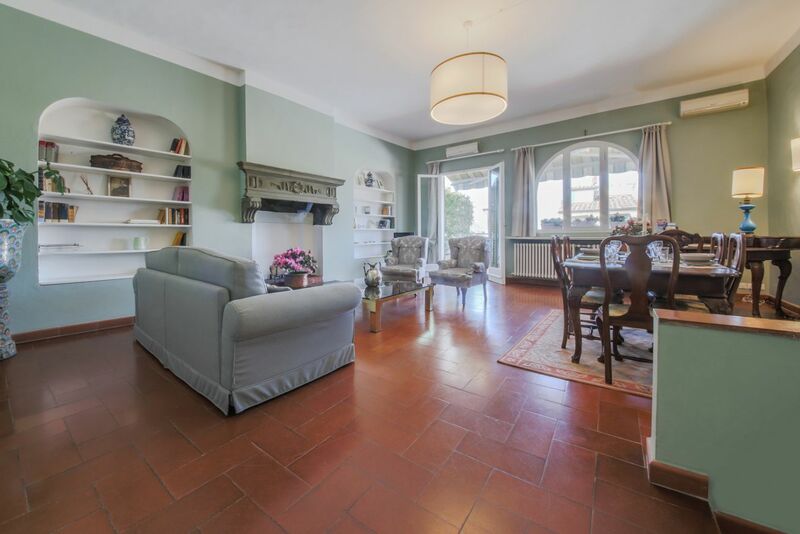 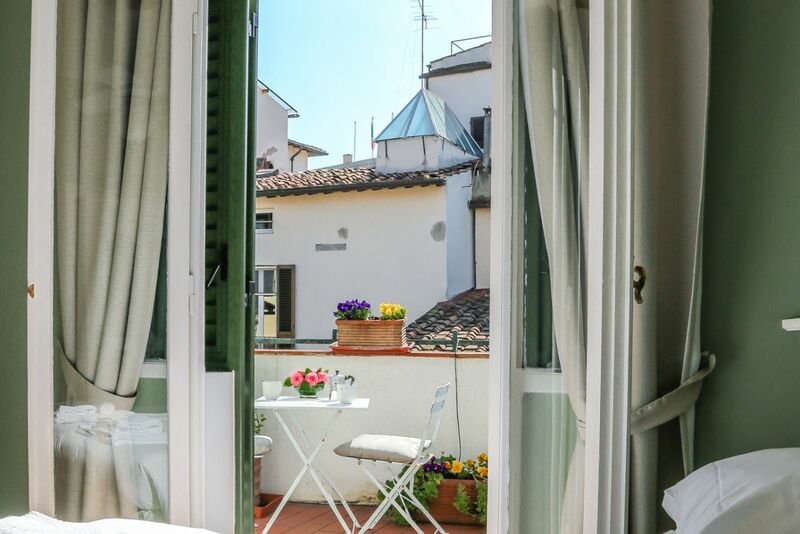 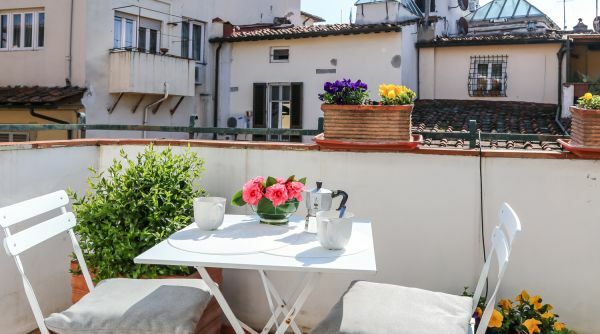 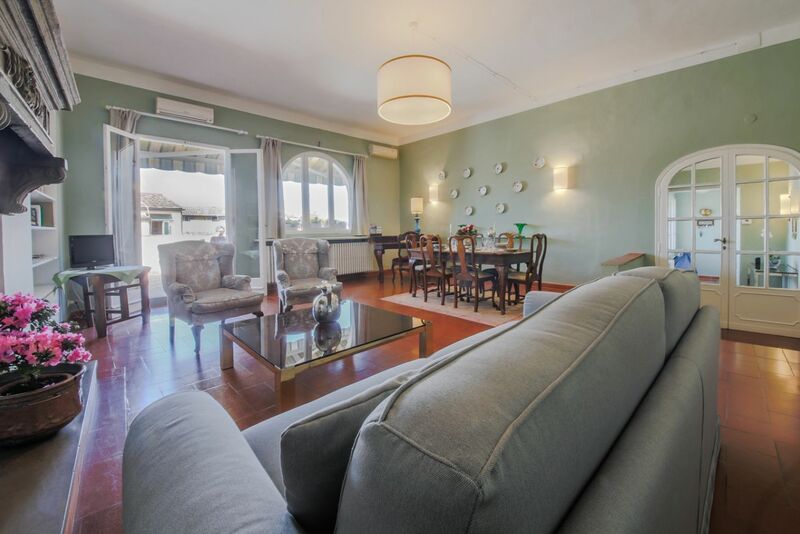 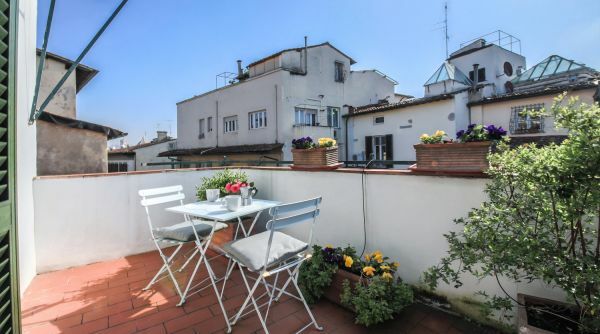 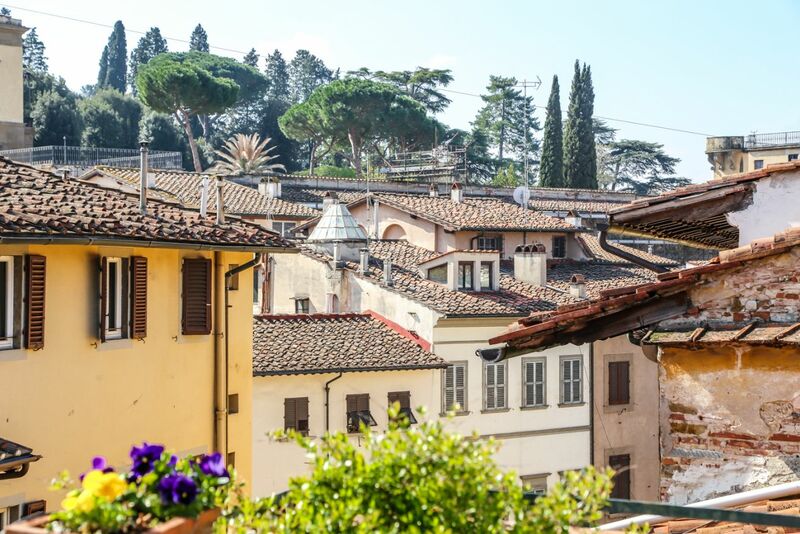 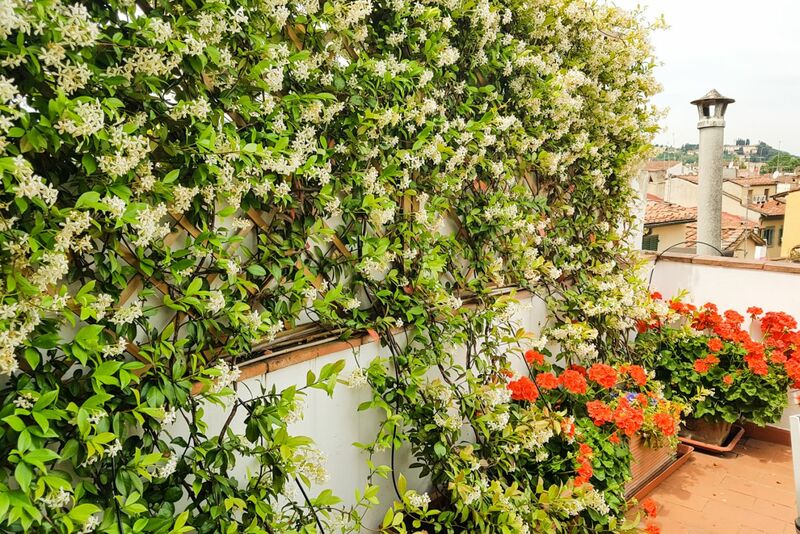 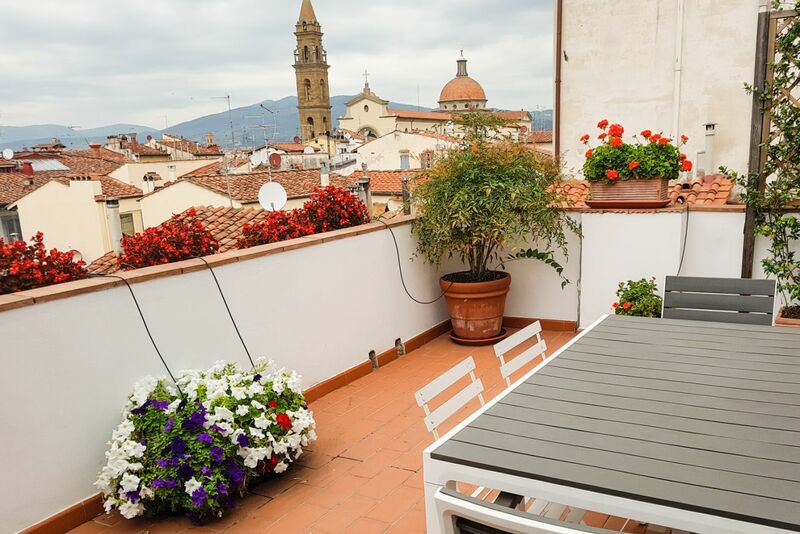 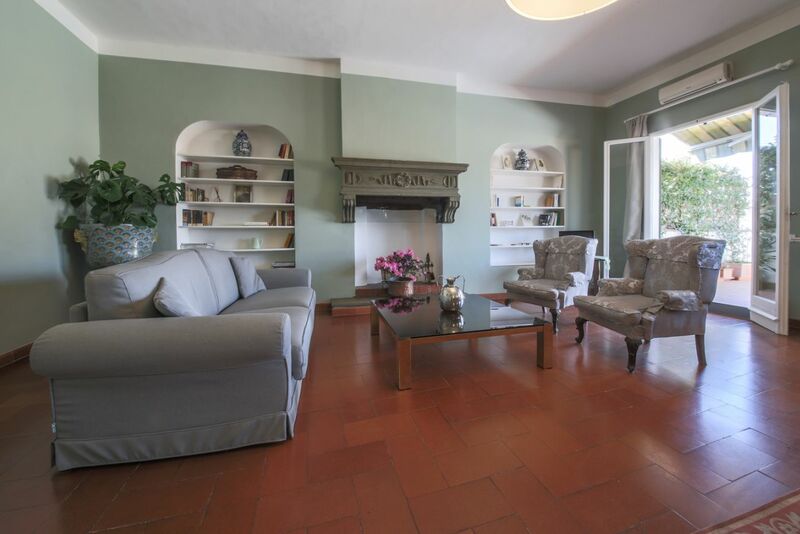 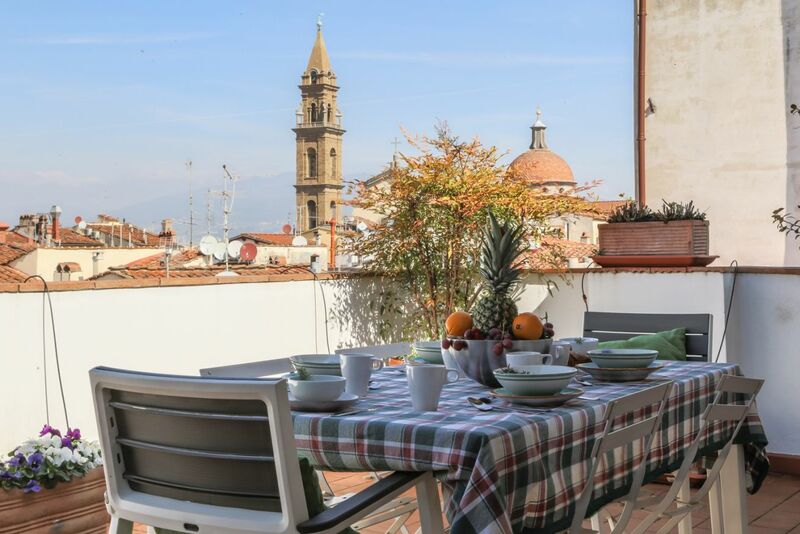 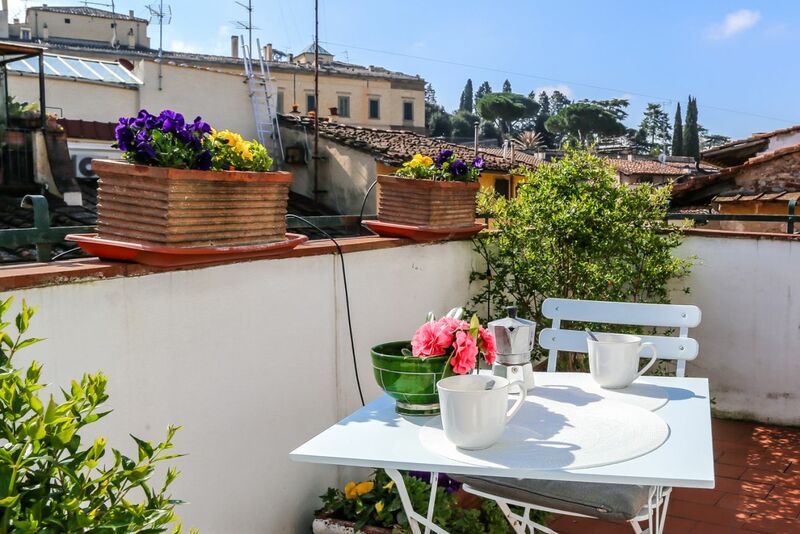 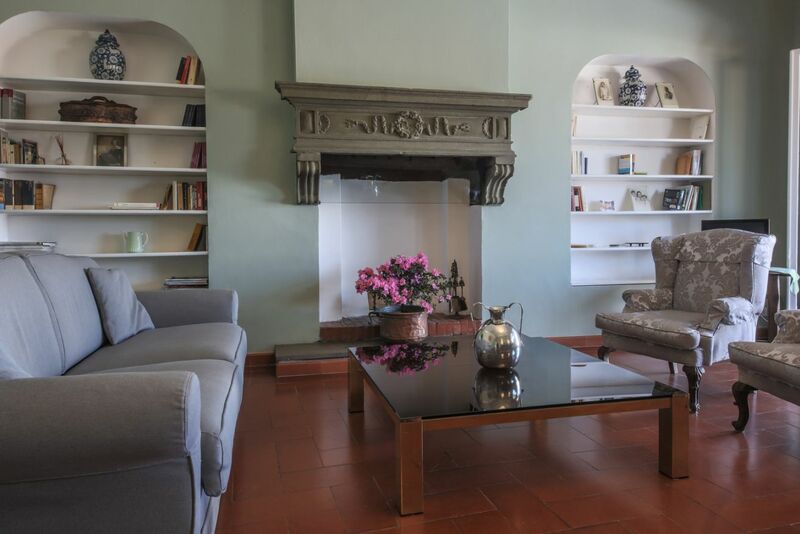 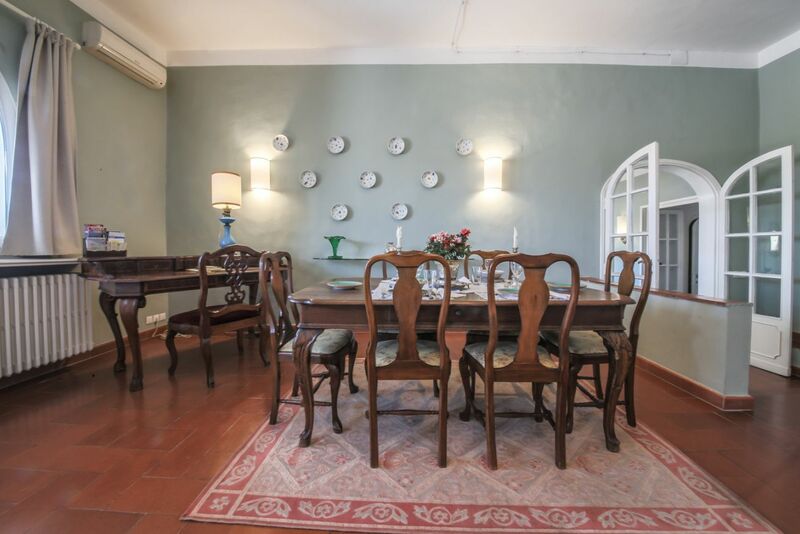 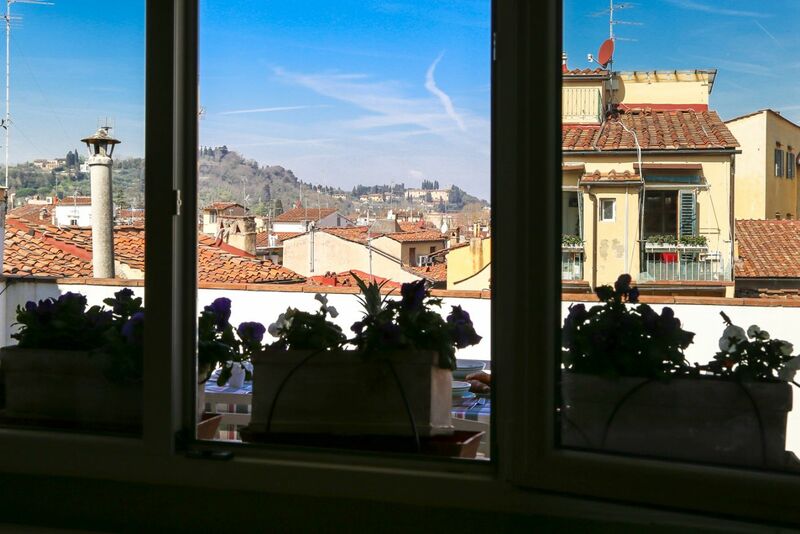 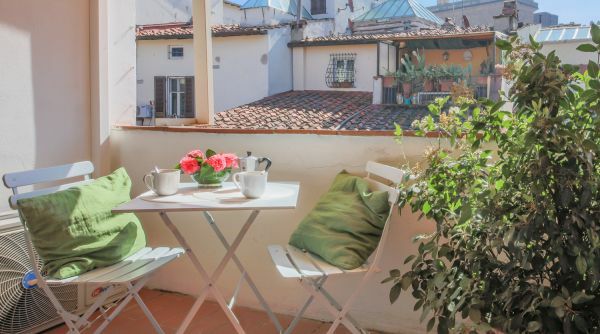 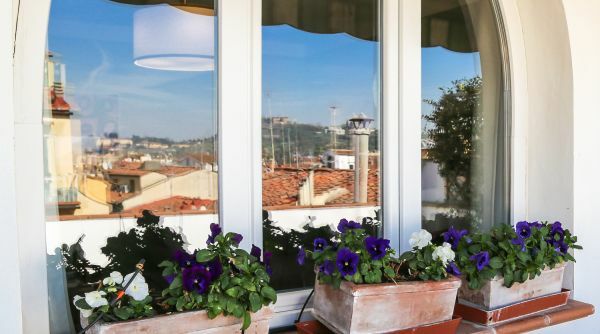 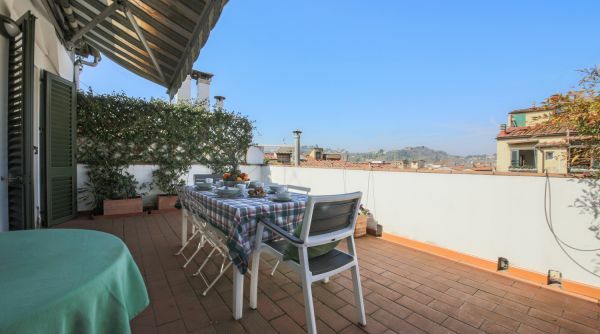 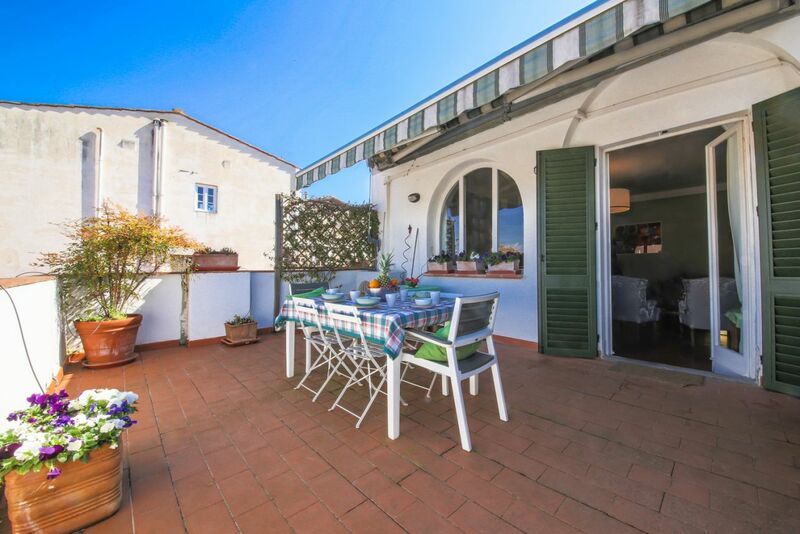 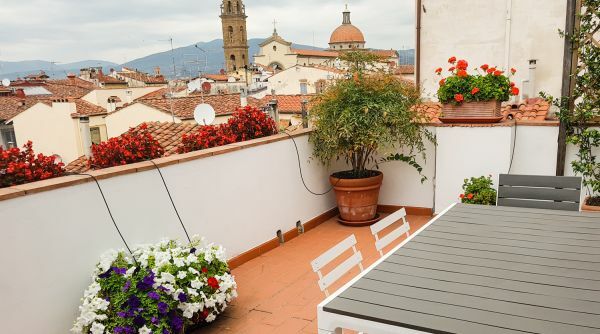 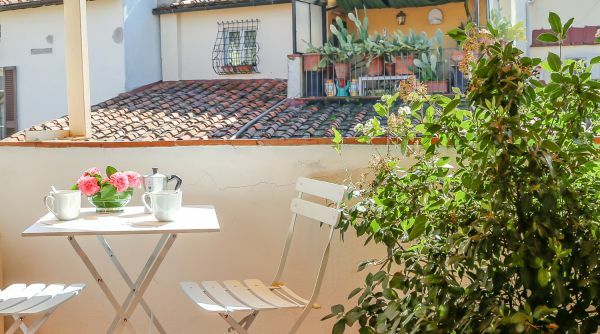 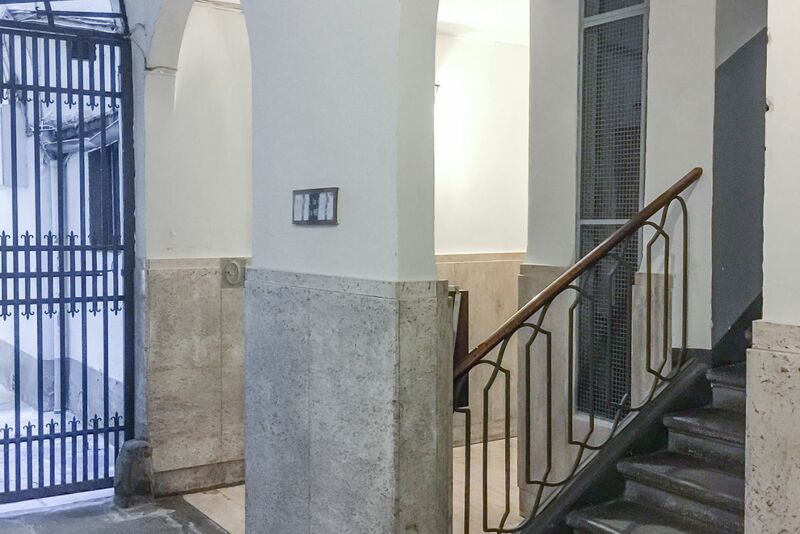 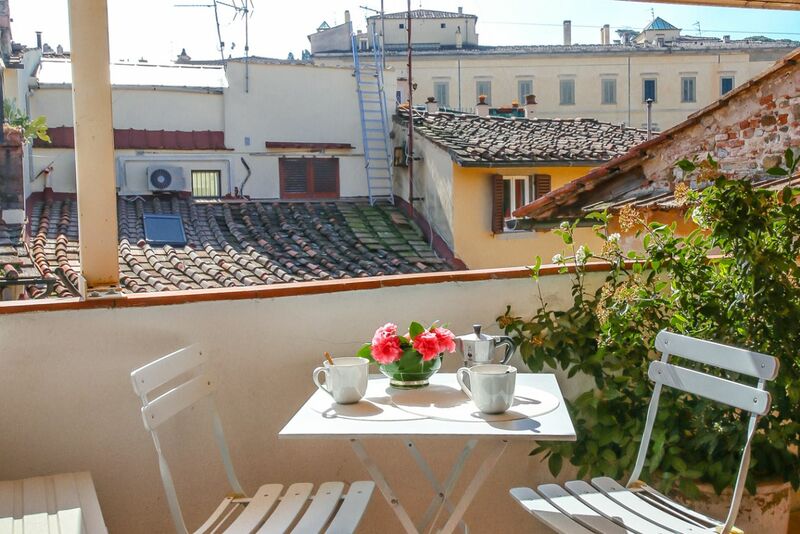 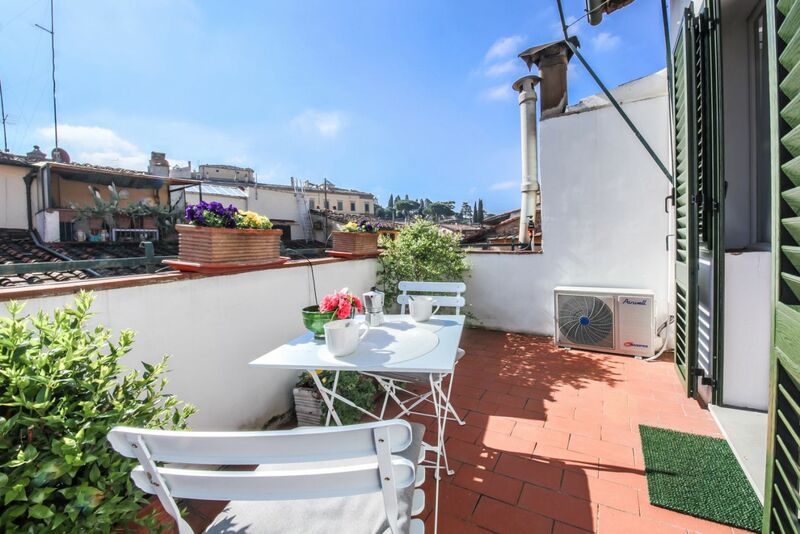 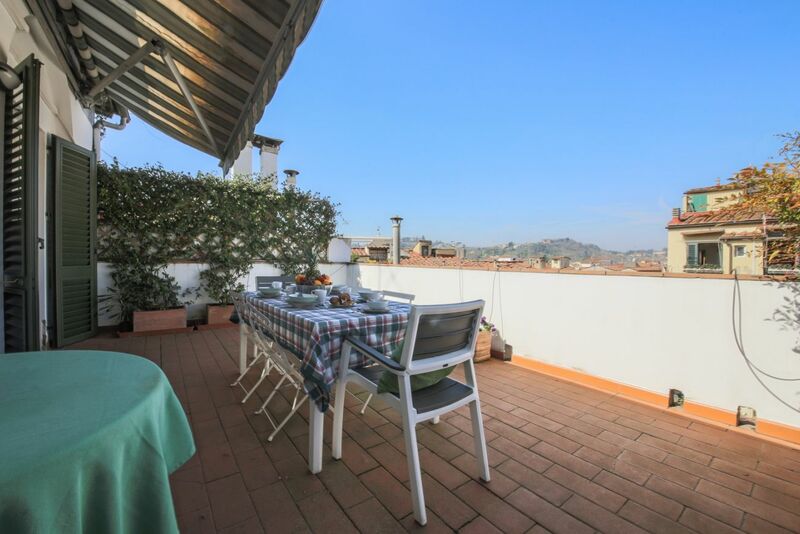 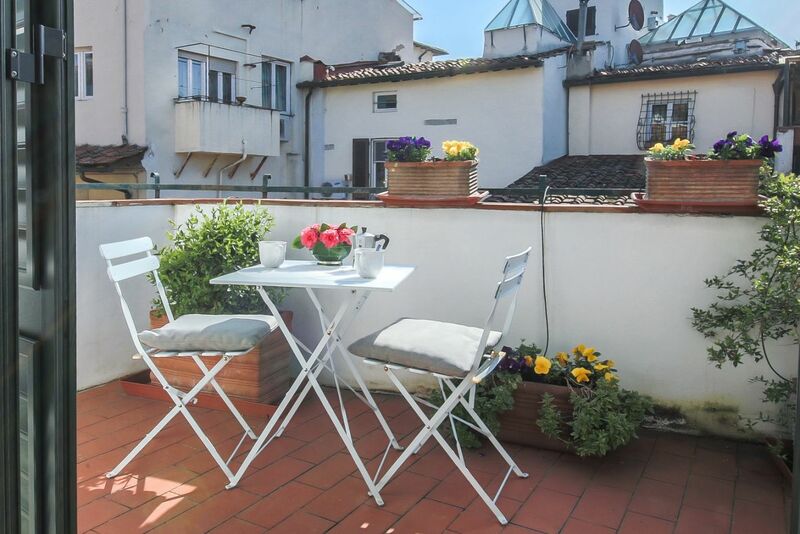 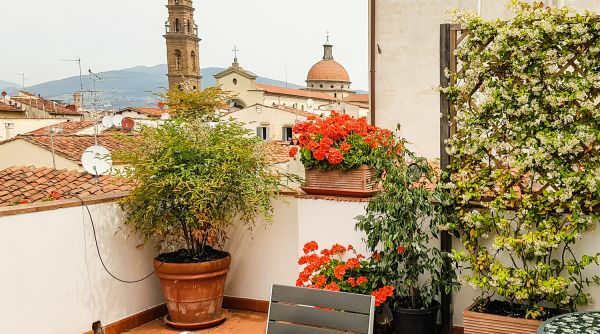 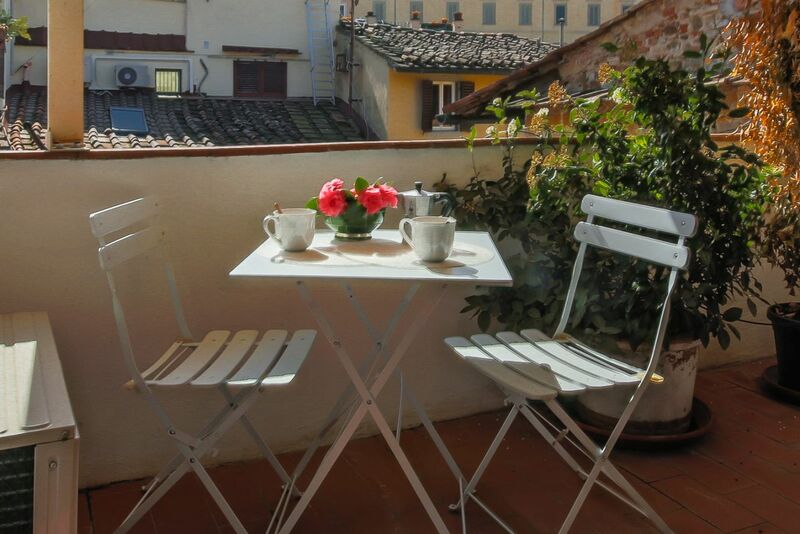 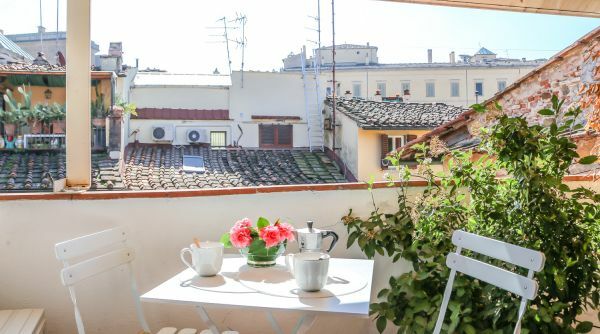 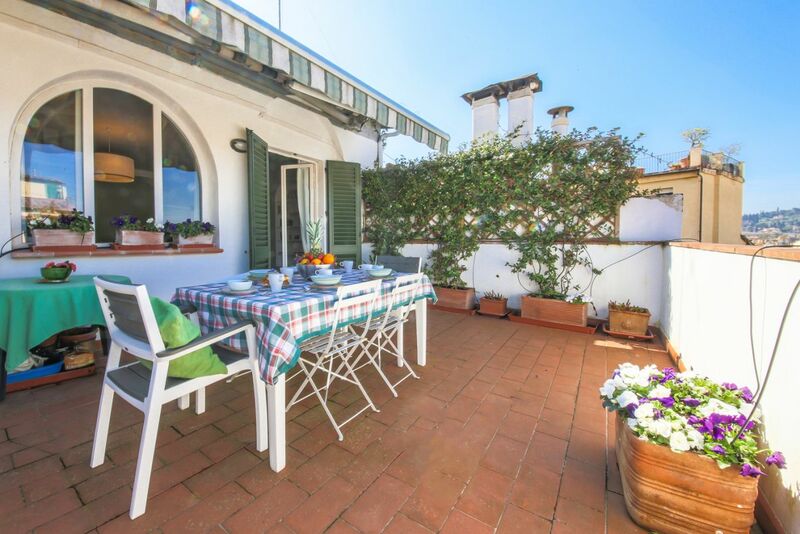 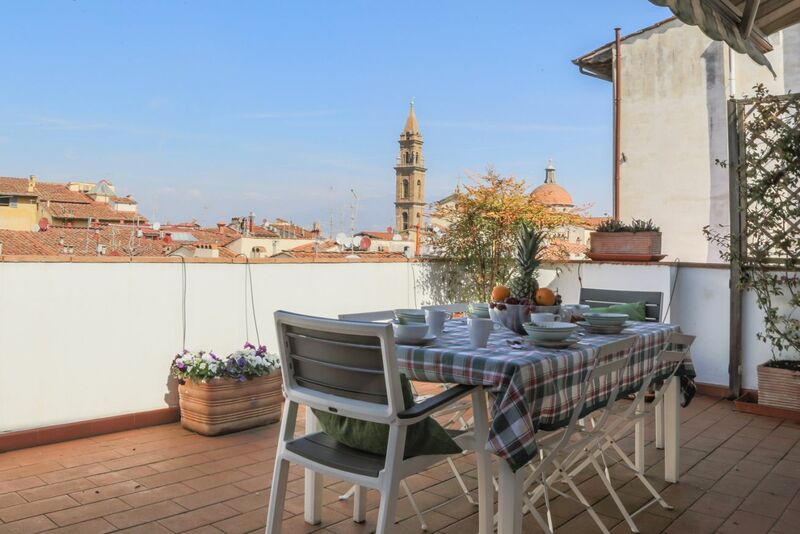 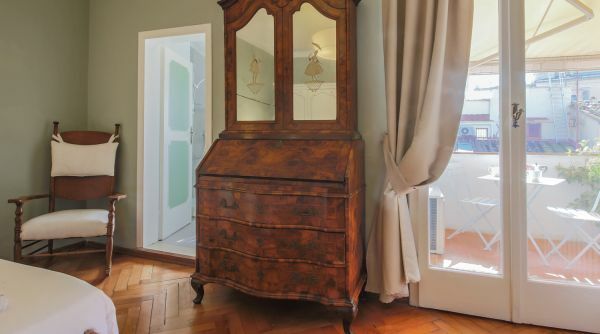 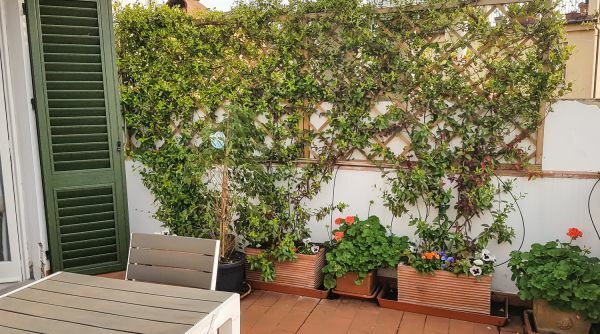 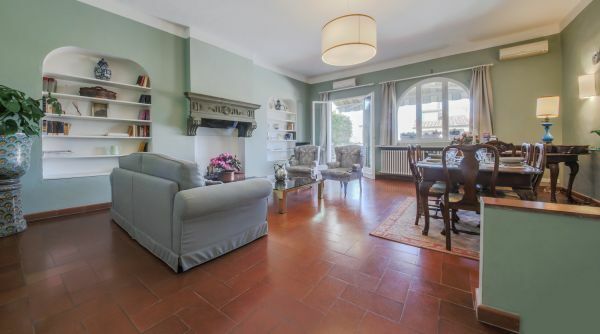 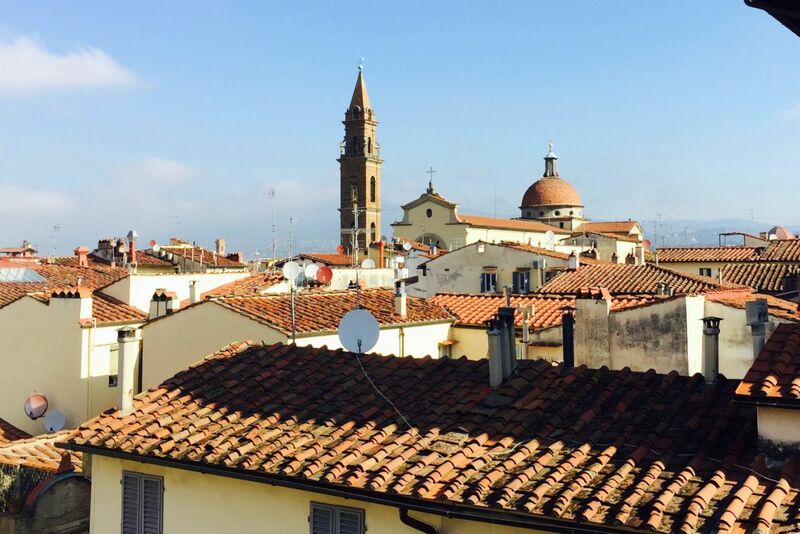 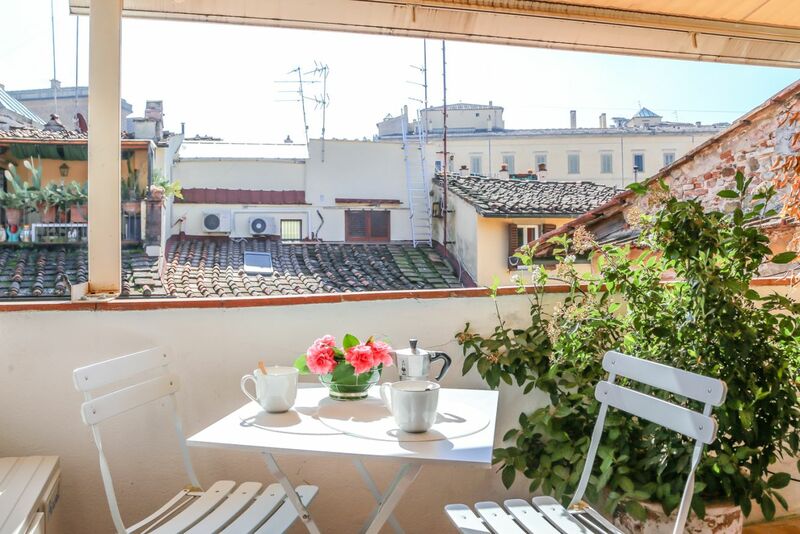 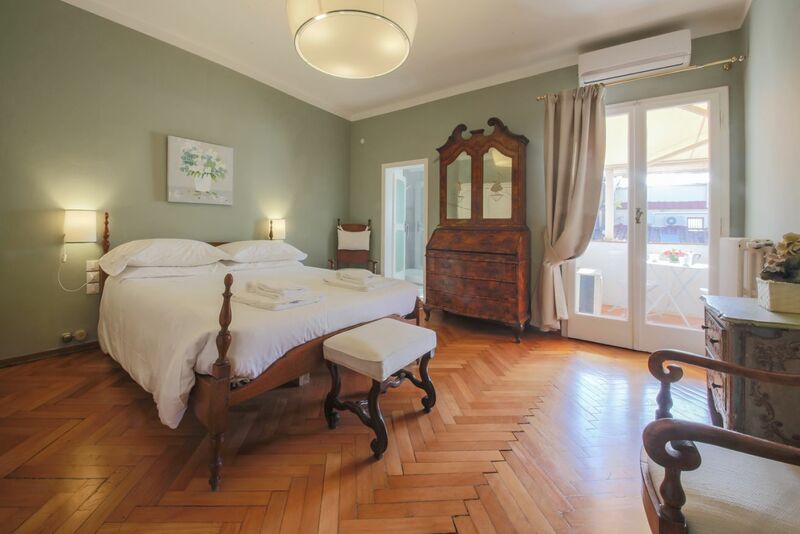 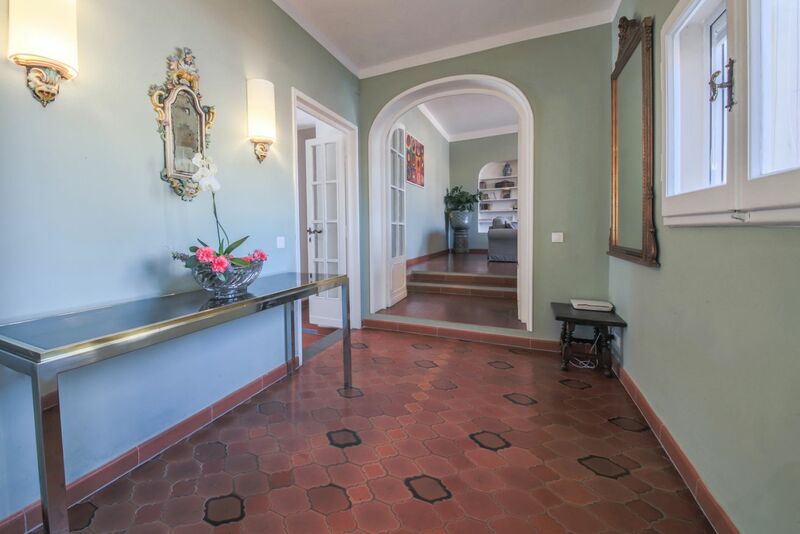 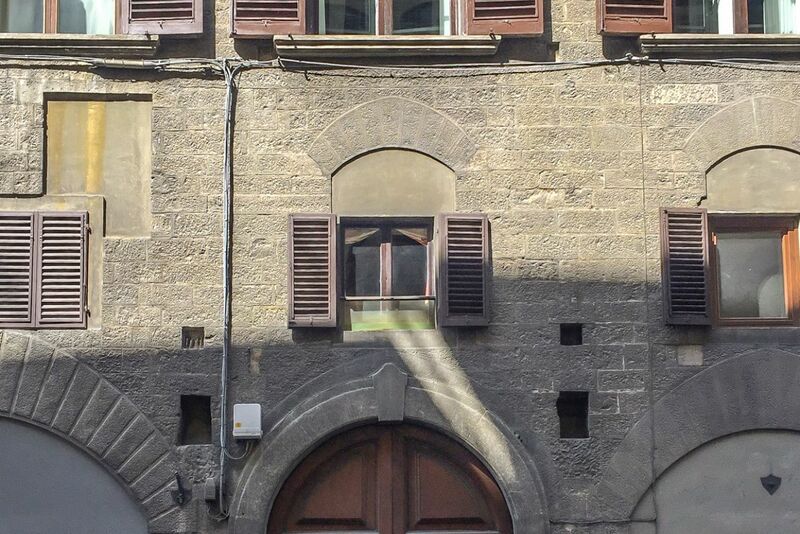 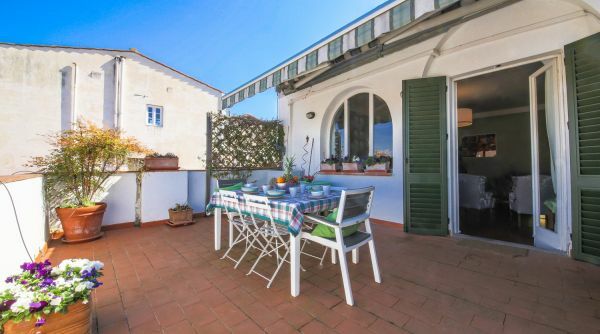 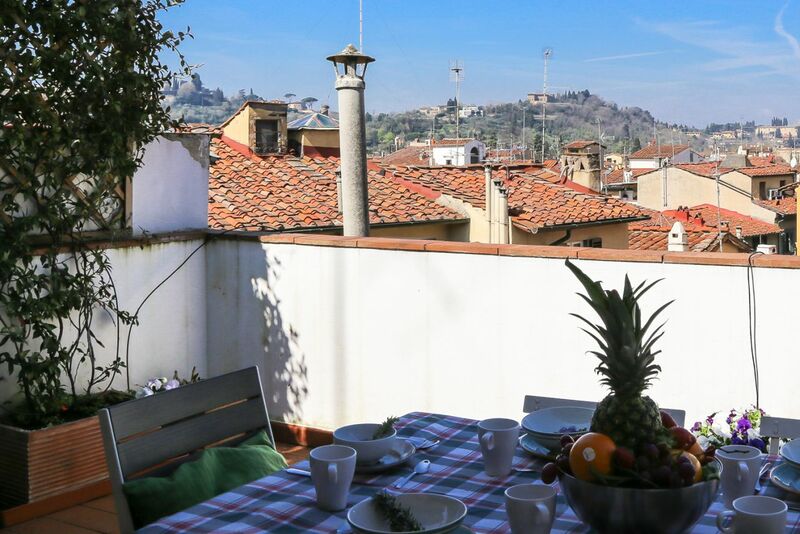 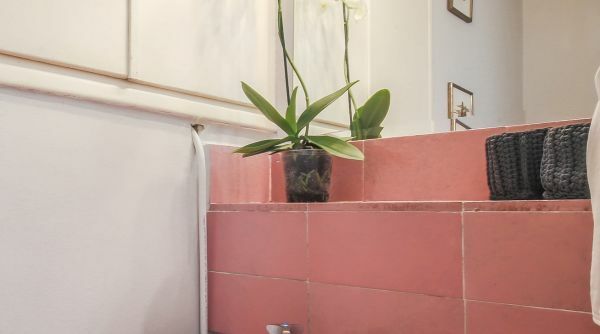 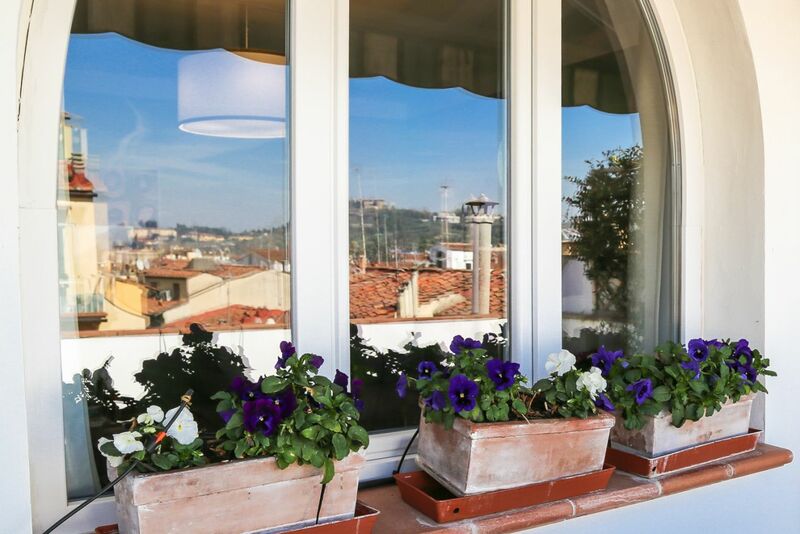 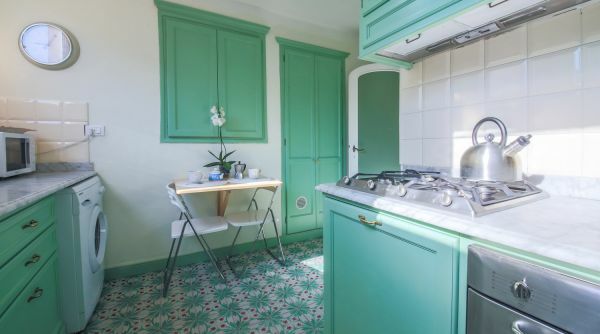 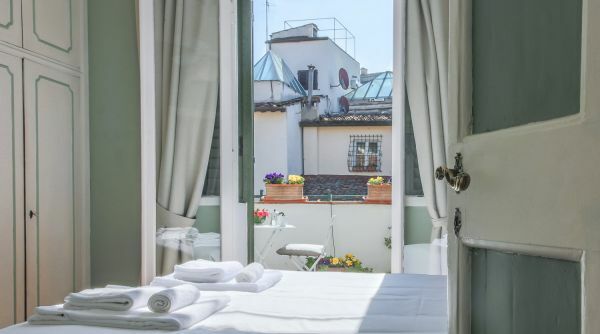 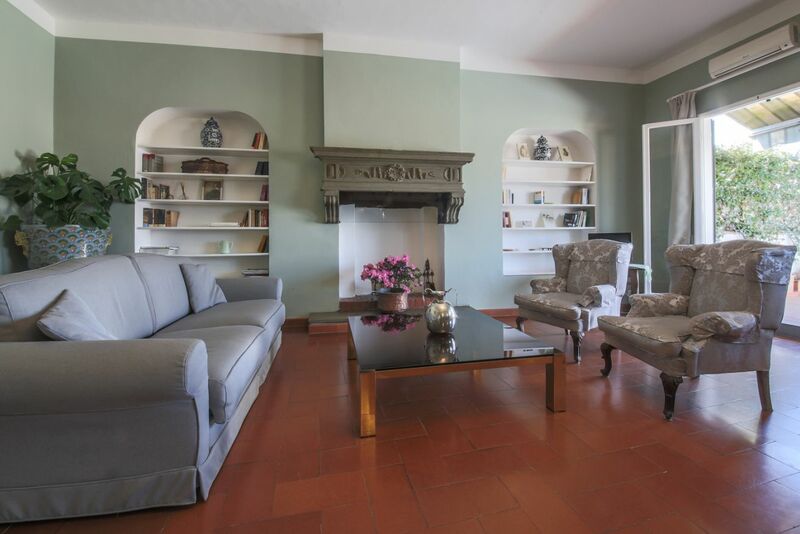 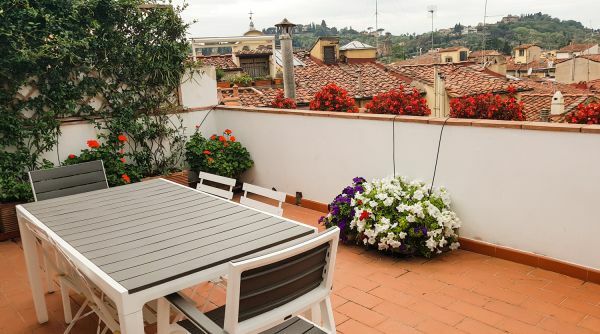 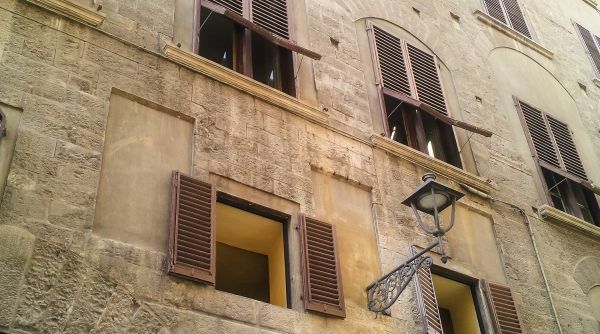 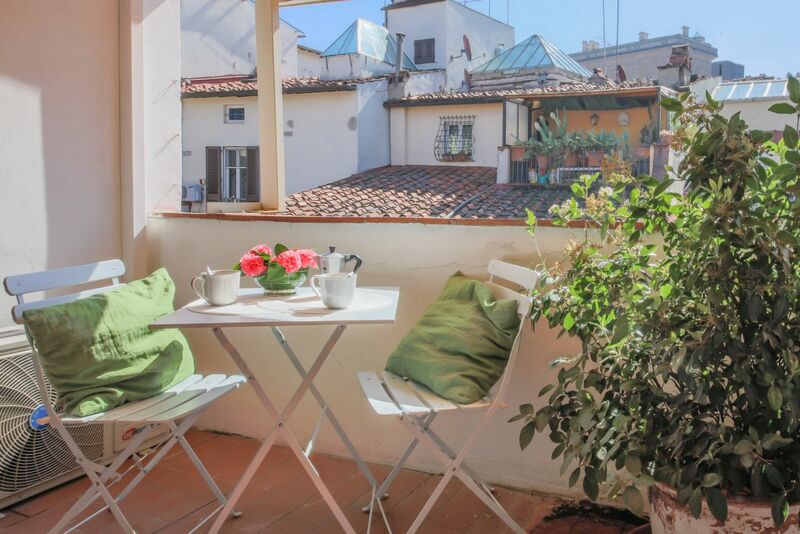 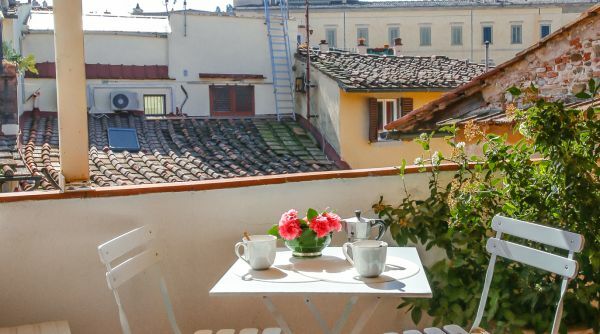 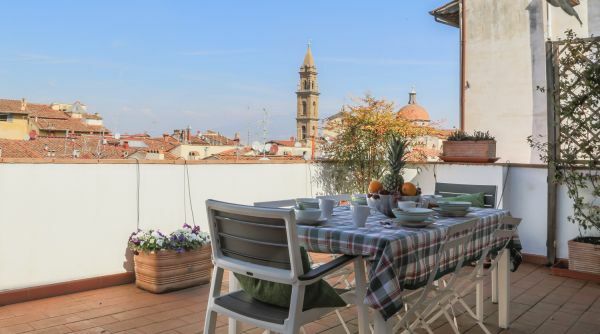 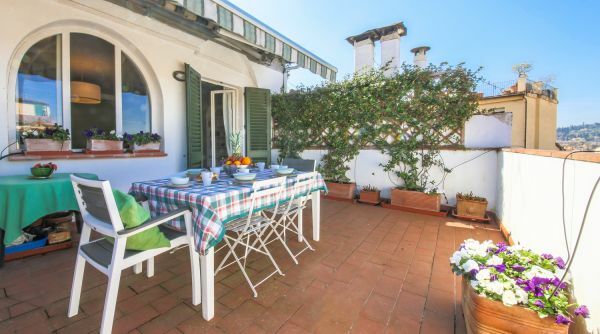 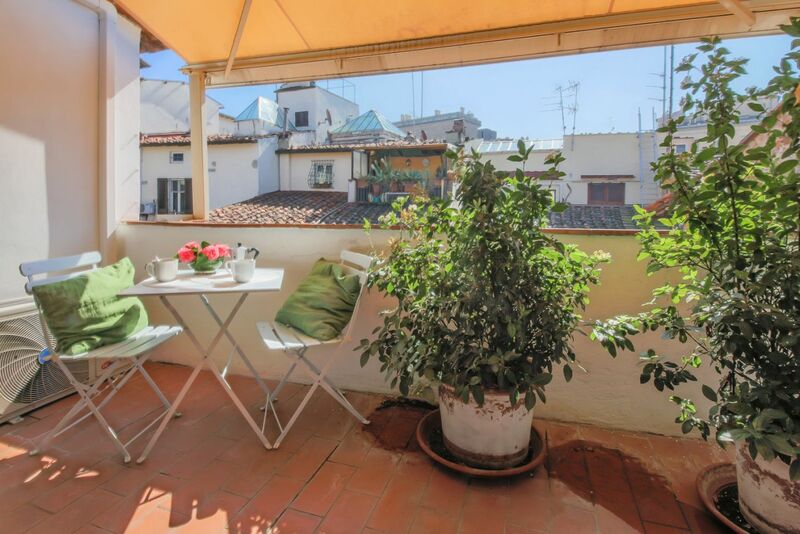 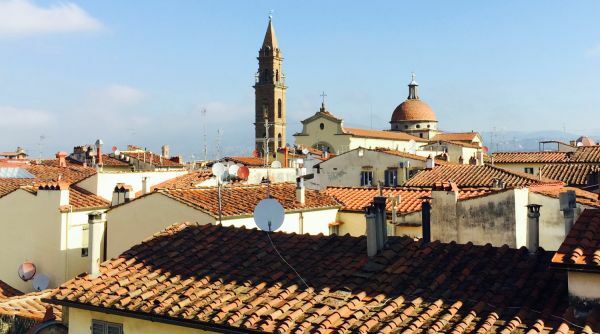 The most amazing feature of this apartment are the 3 terraces over Via Maggio, traditionally a street of Antique shops between Palazzo Pitti and Piazza Santo Spirito. 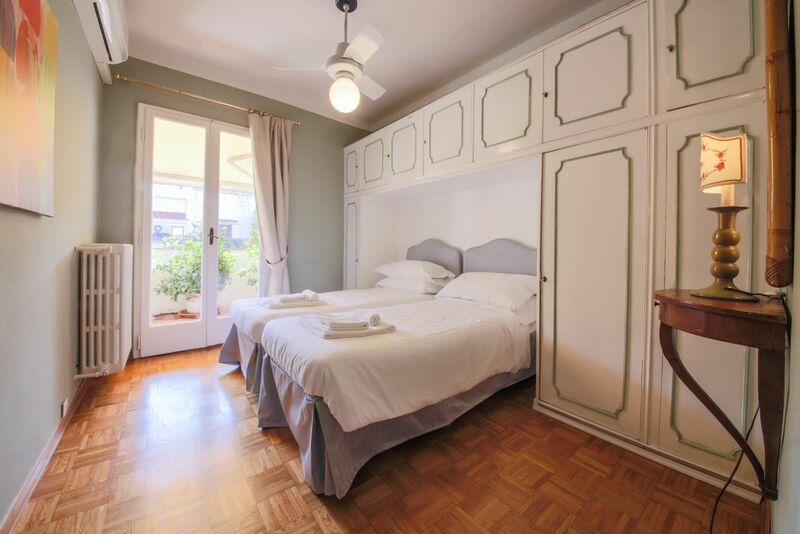 There is heating across the apartment as well as AC devises in every room, plus extra ceiling fans if you prefer natural air. 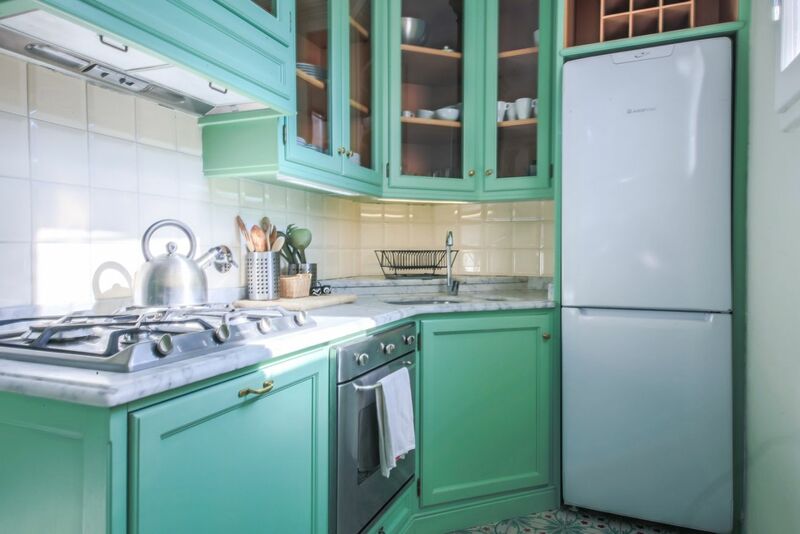 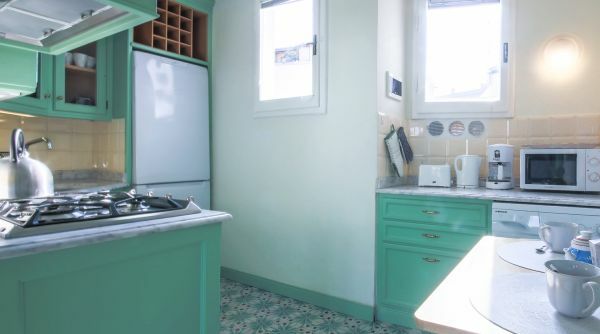 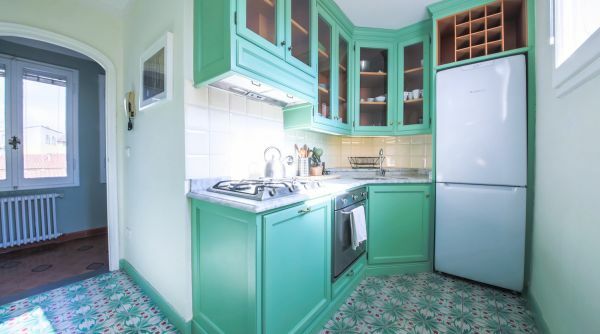 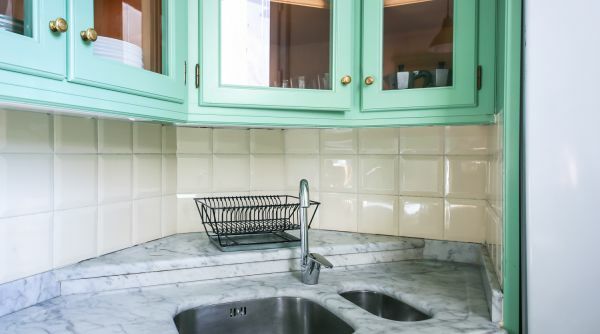 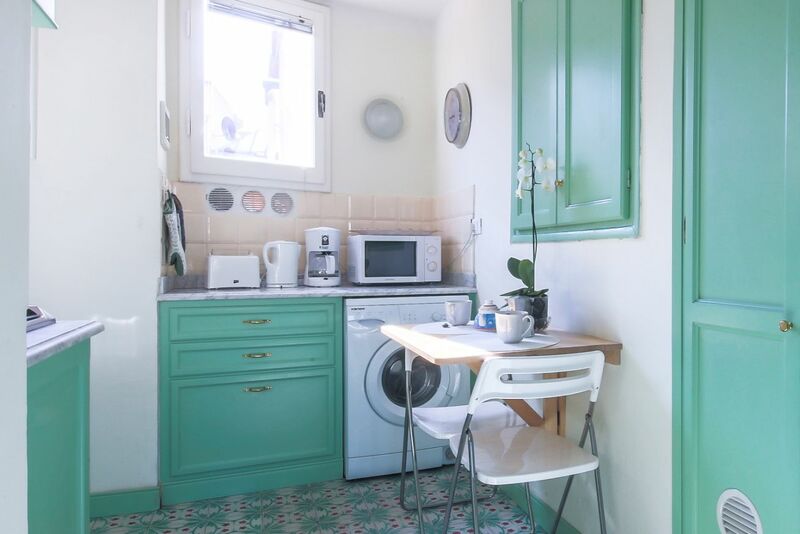 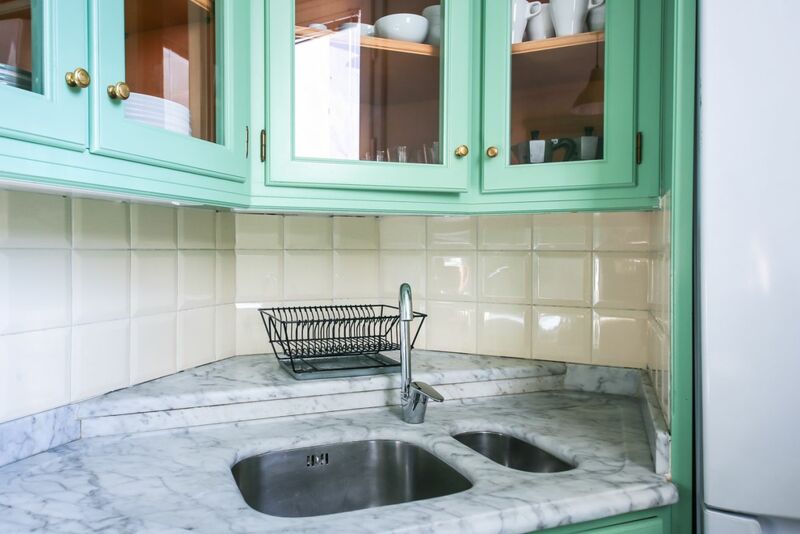 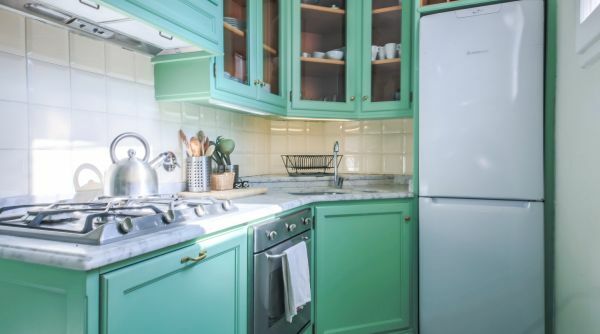 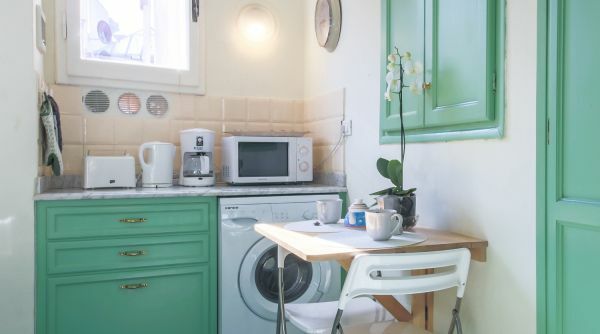 There is fully equipped kitchen complete with all the appliances such as washing machine and dishwasher. 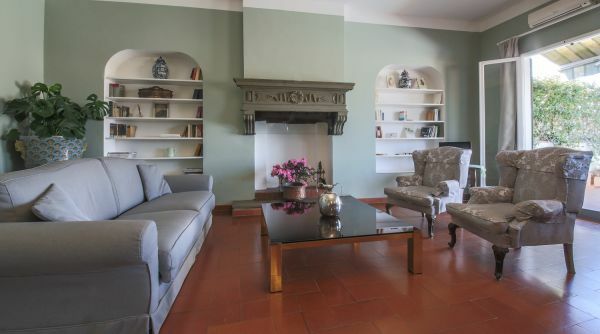 The living room has a custom king size sofa bed. 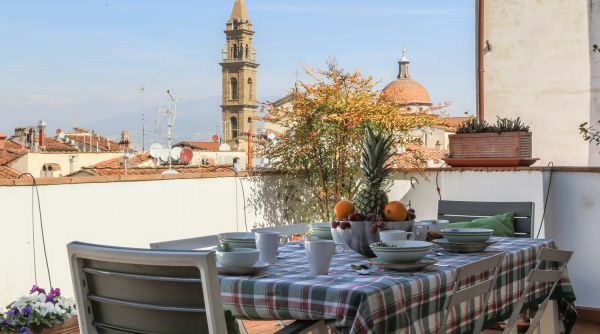 The dining table can accommodate up to 8 people, who will enjoy a breathtaking view of the city's monuments and a large terrace. 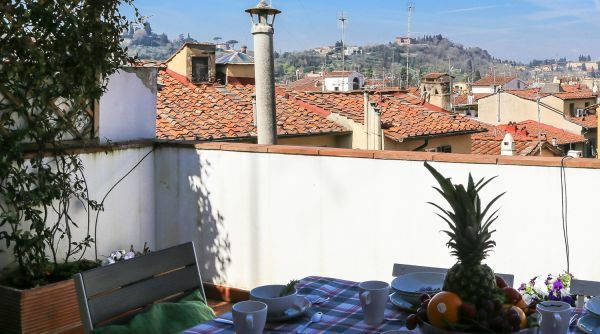 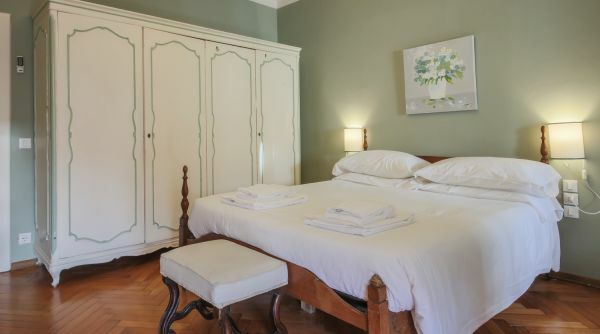 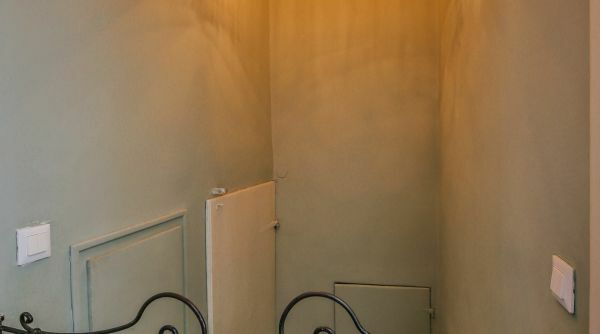 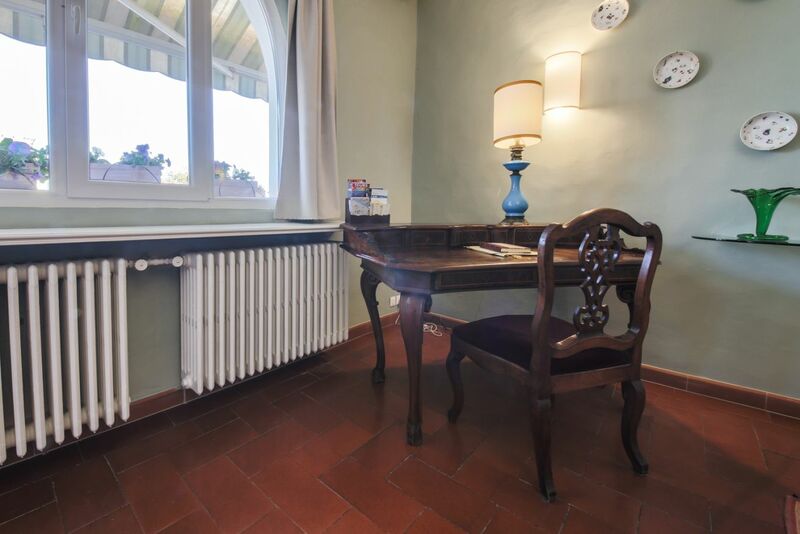 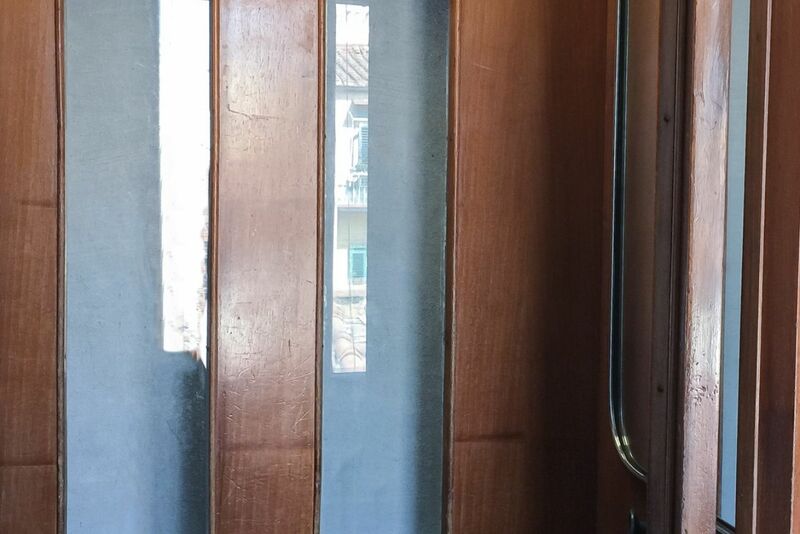 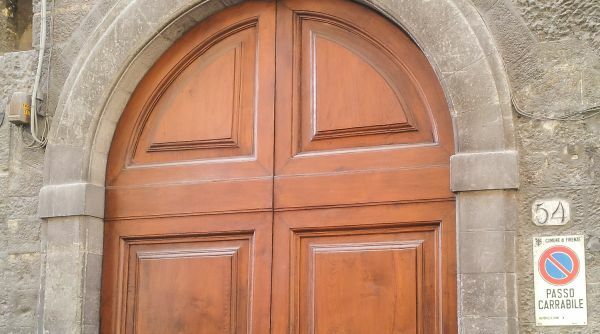 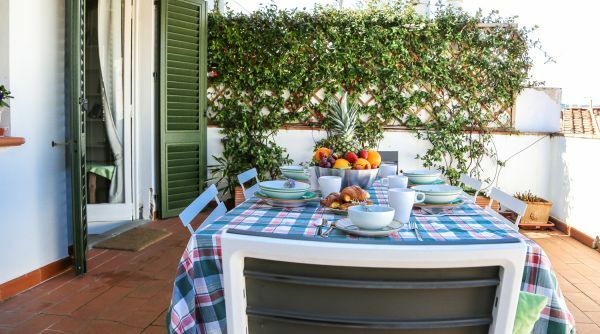 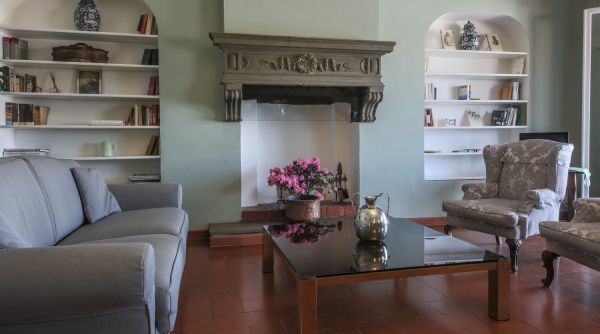 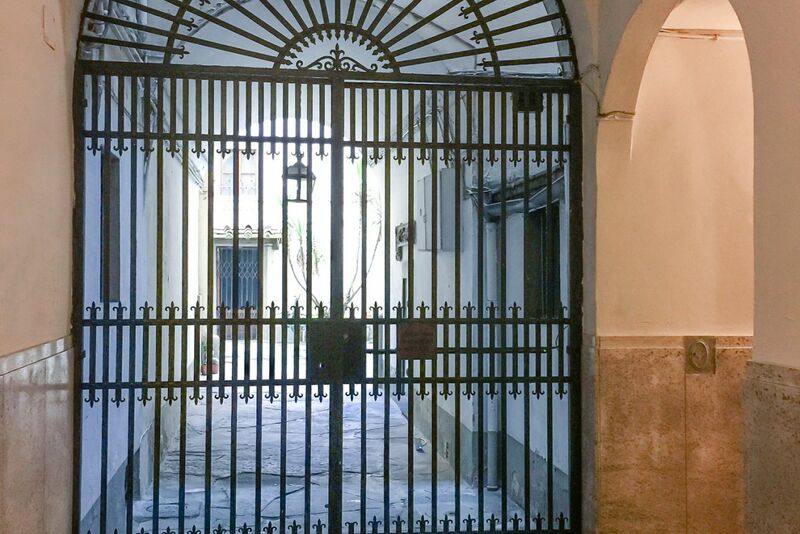 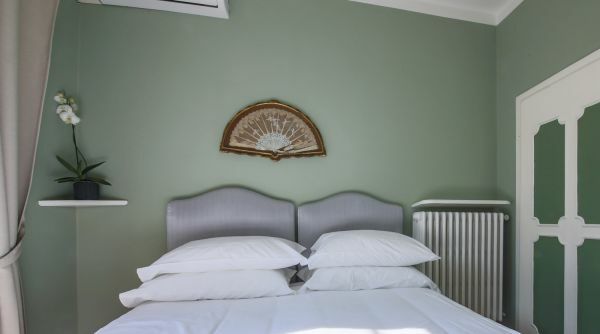 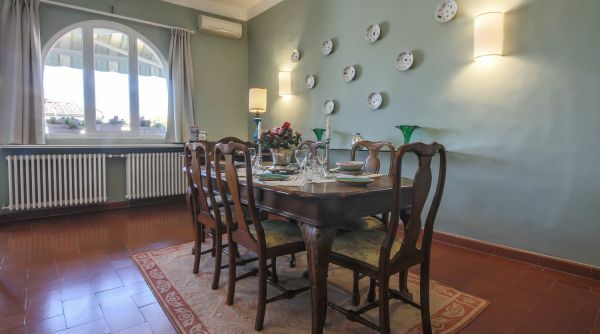 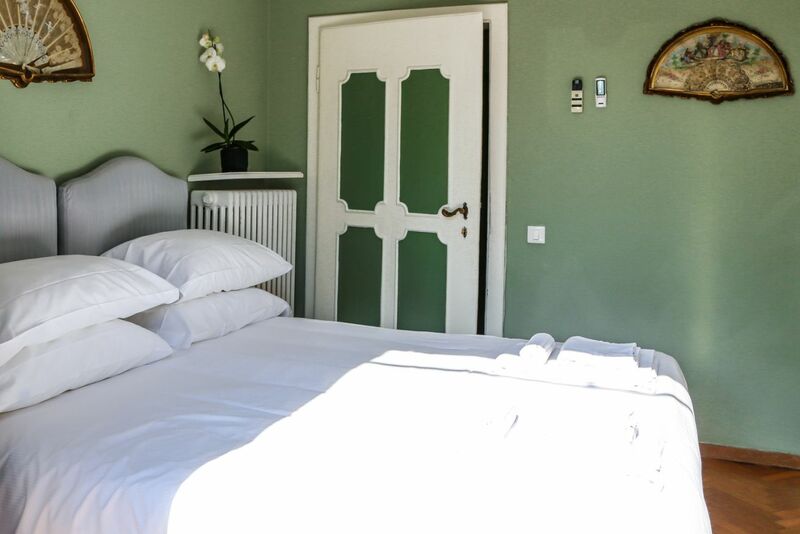 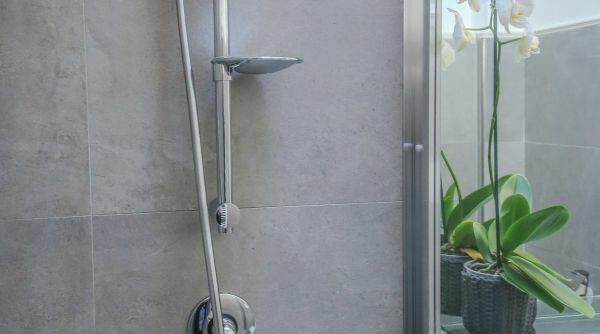 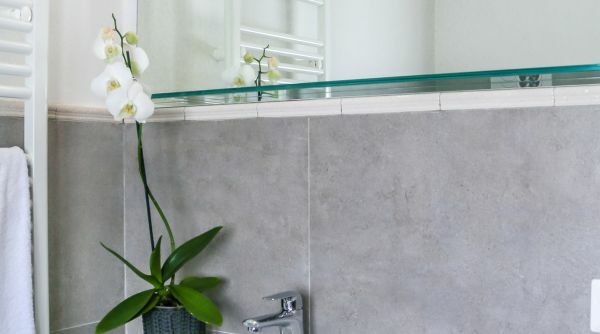 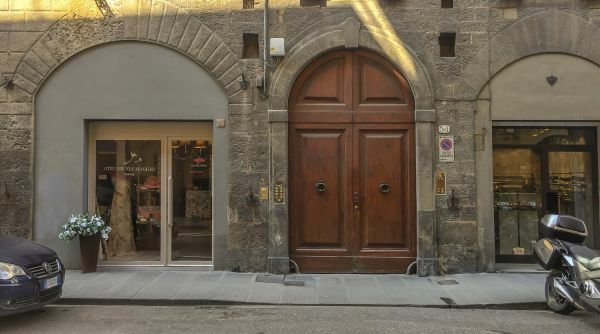 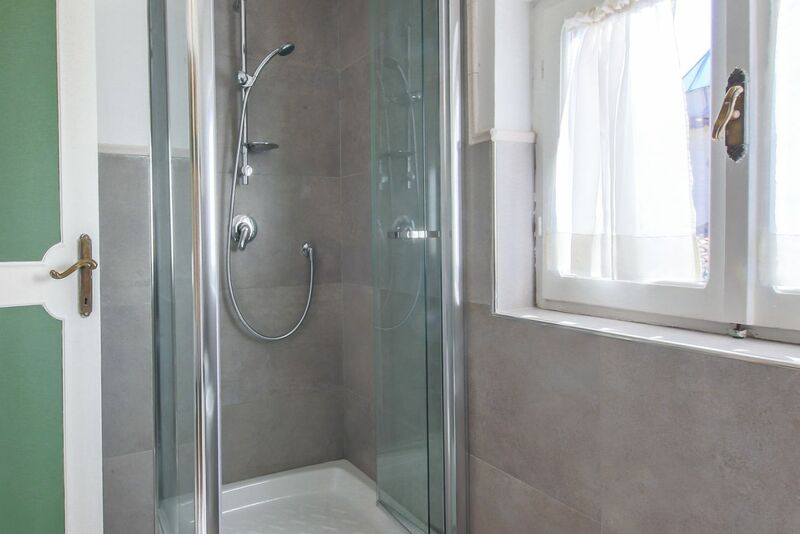 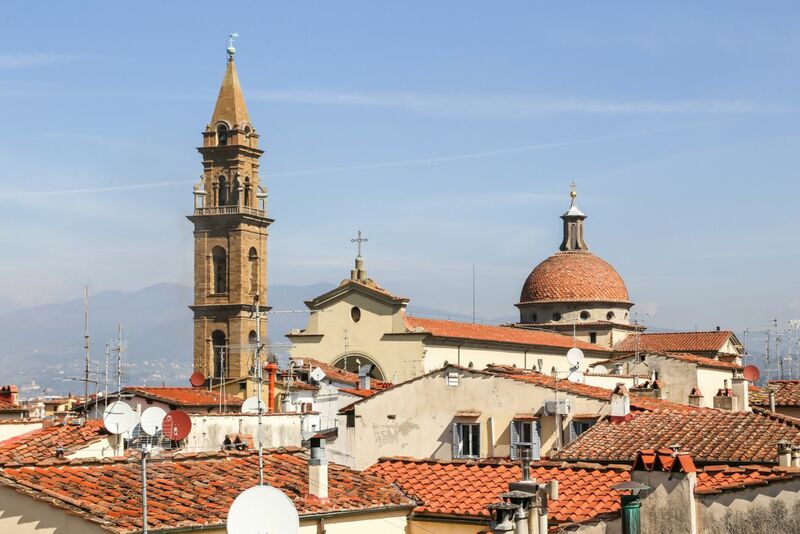 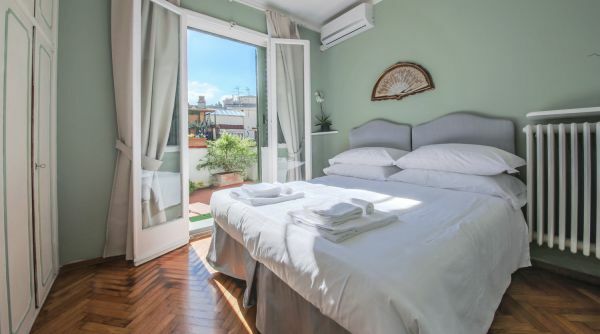 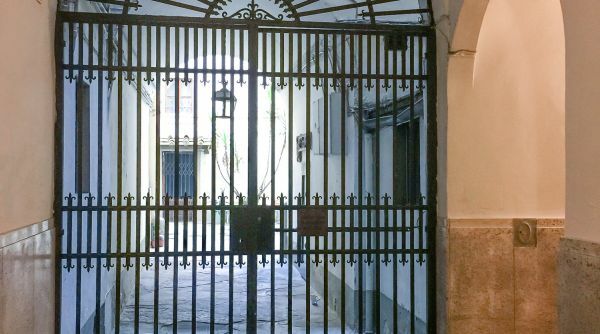 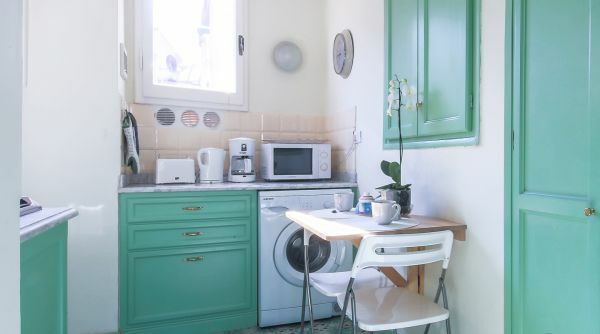 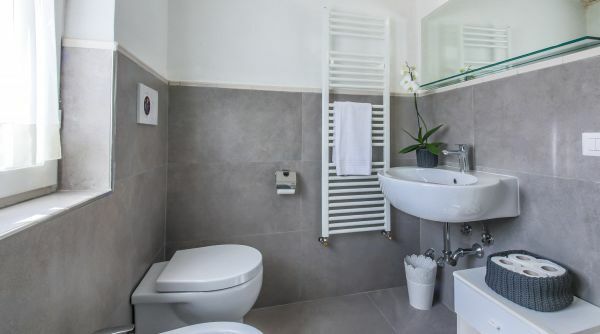 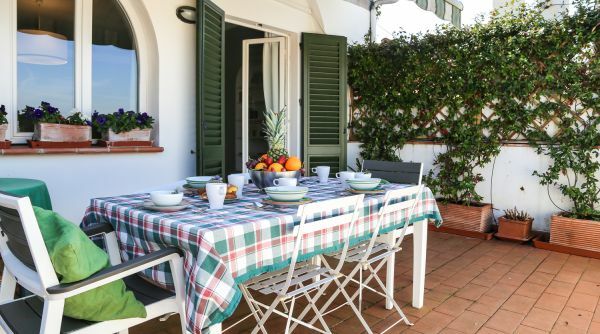 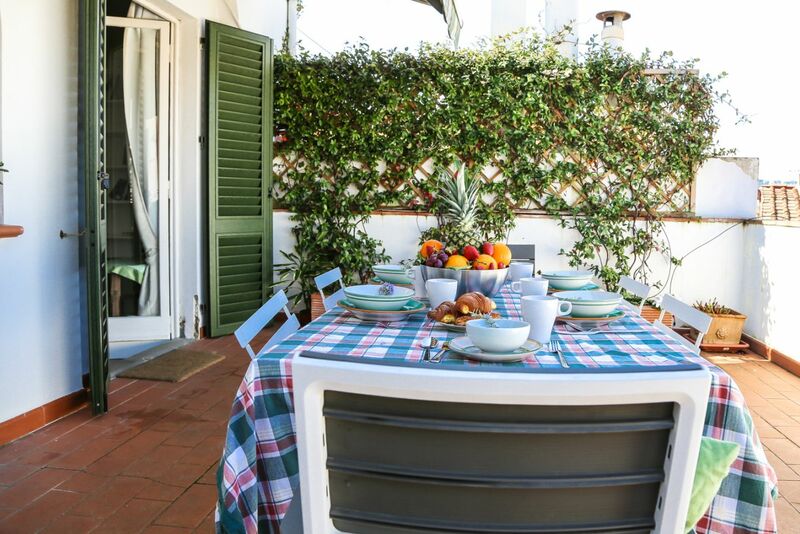 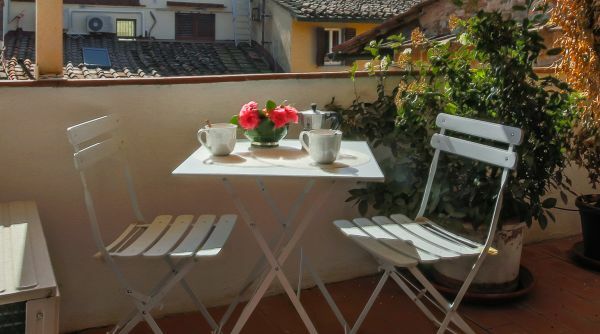 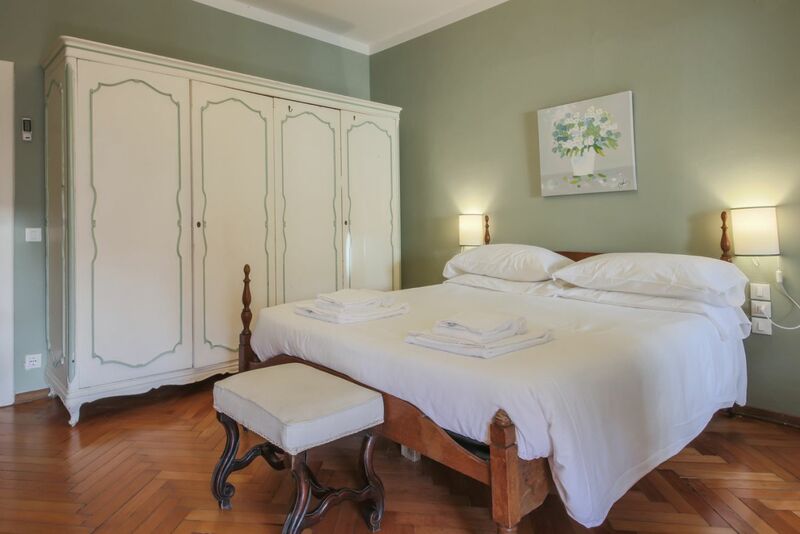 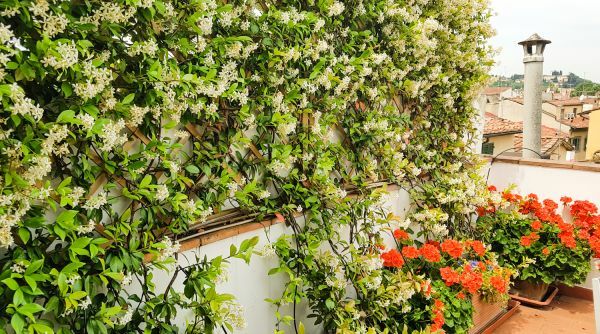 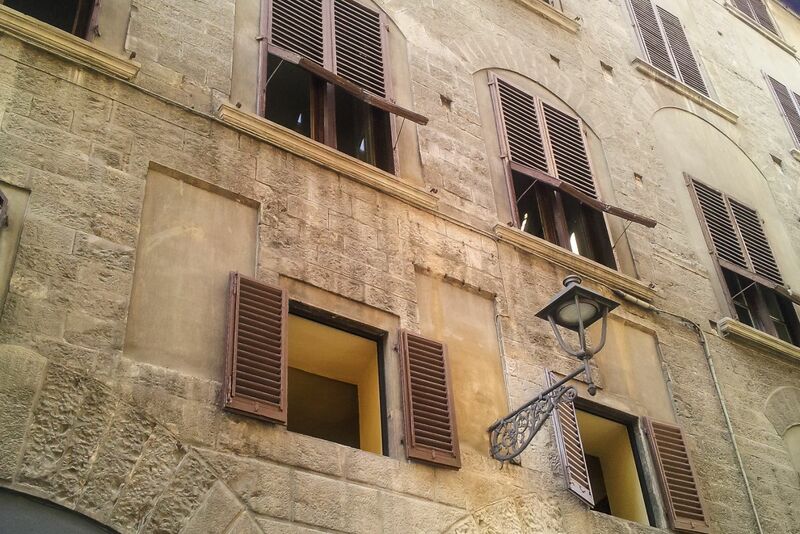 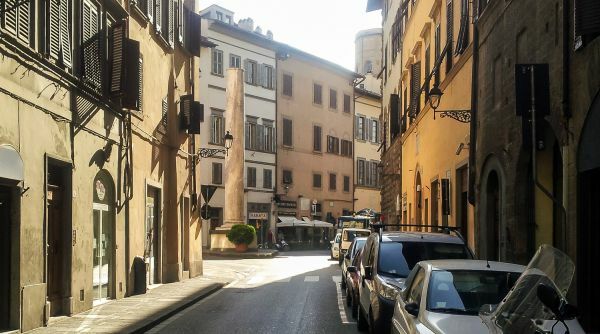 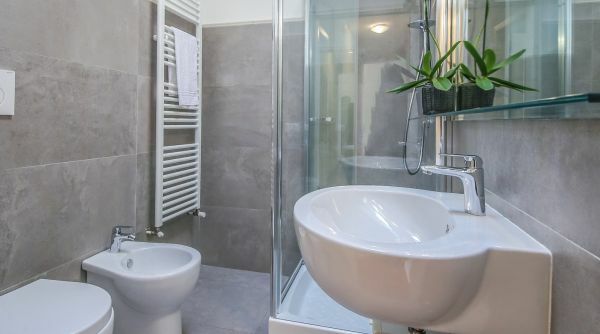 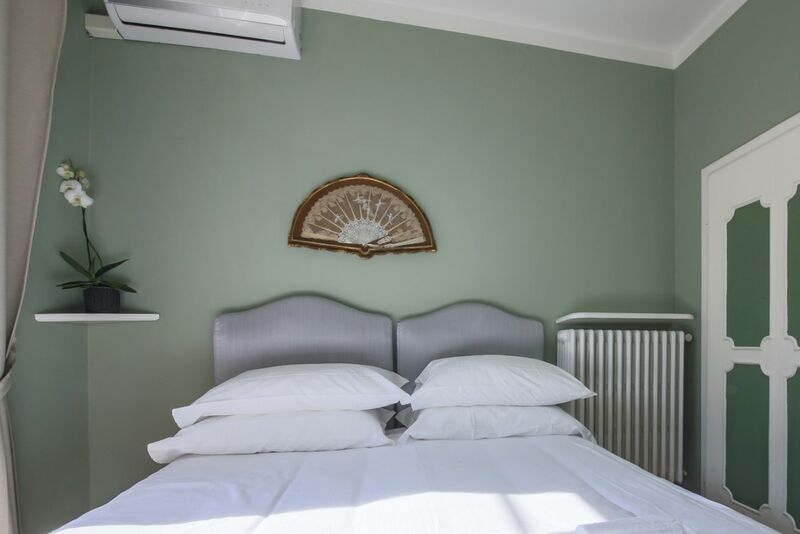 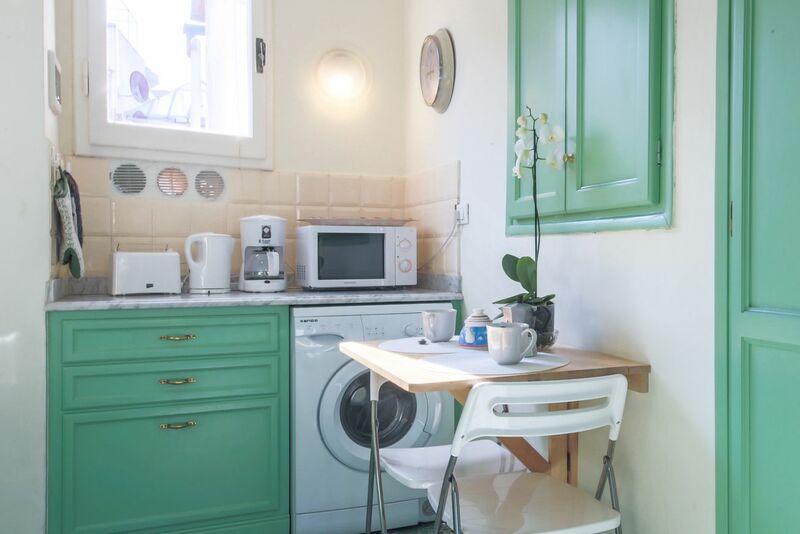 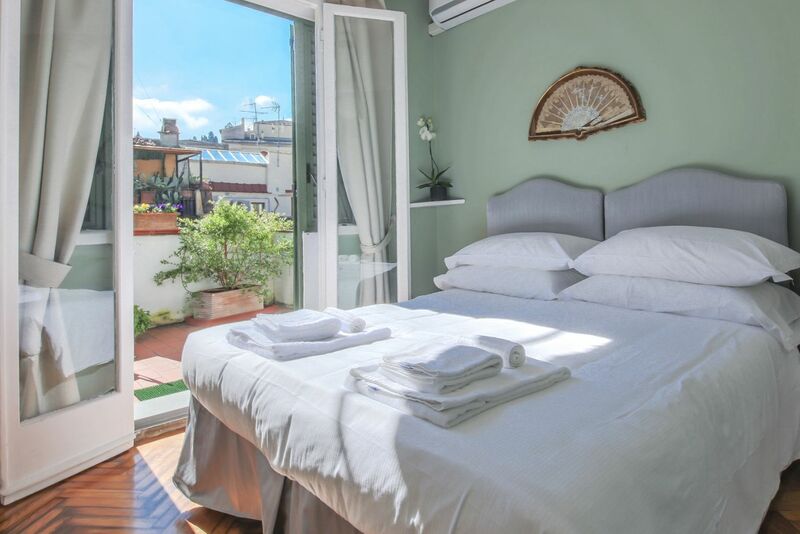 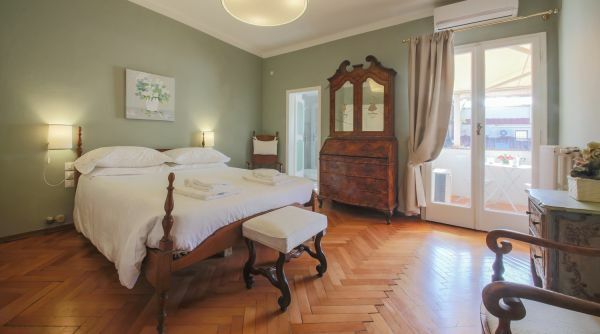 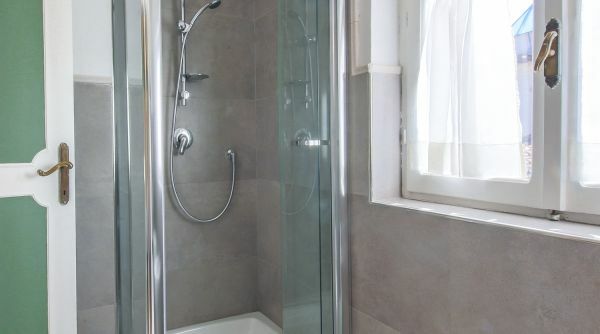 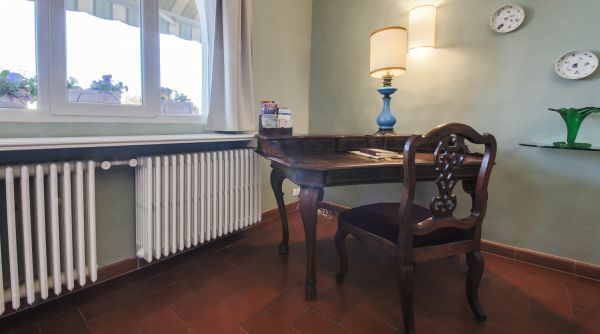 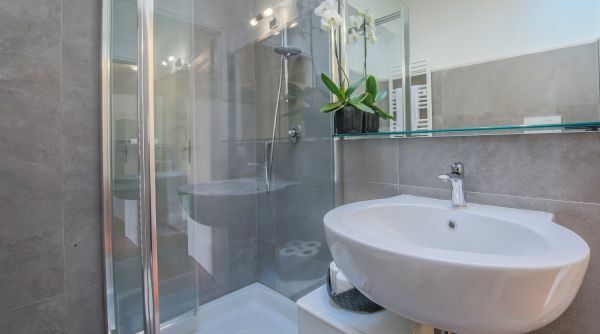 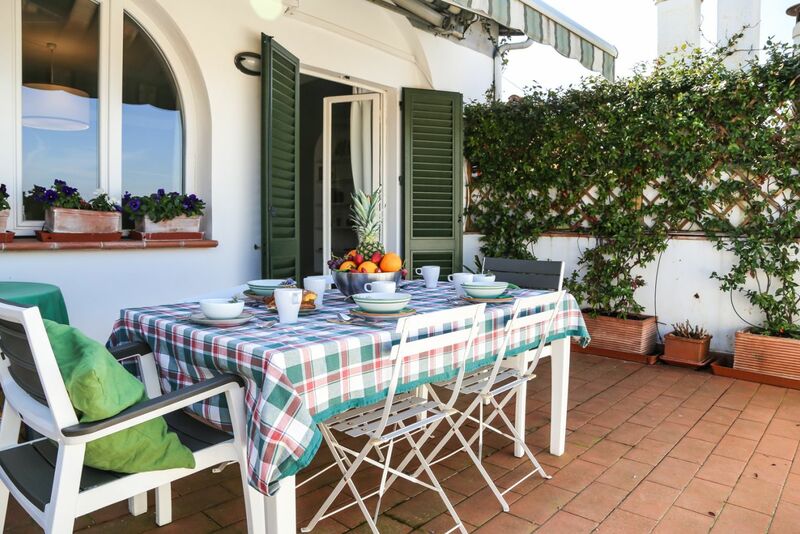 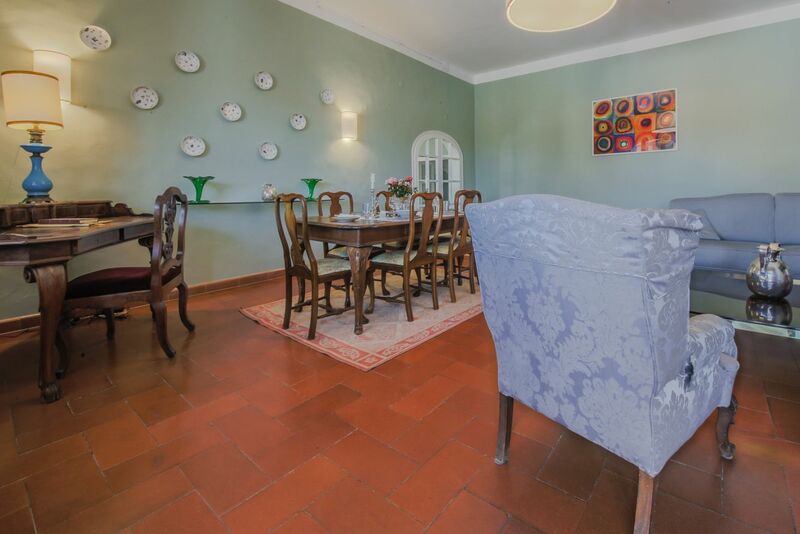 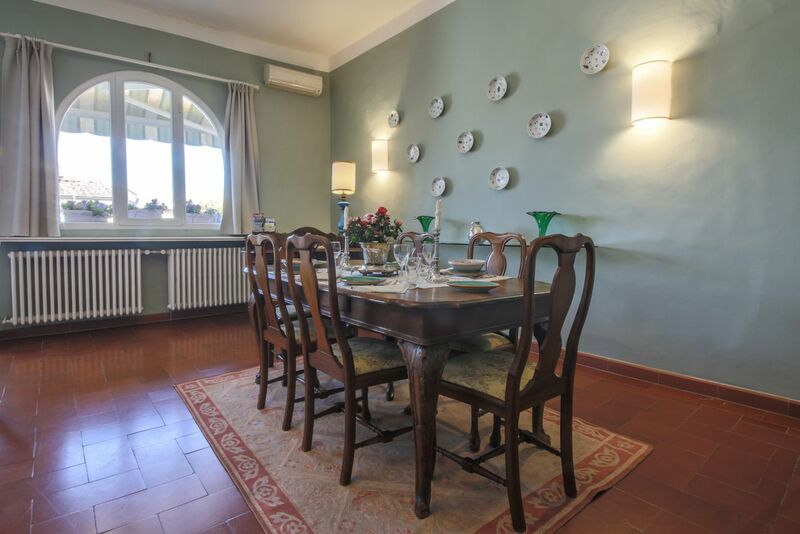 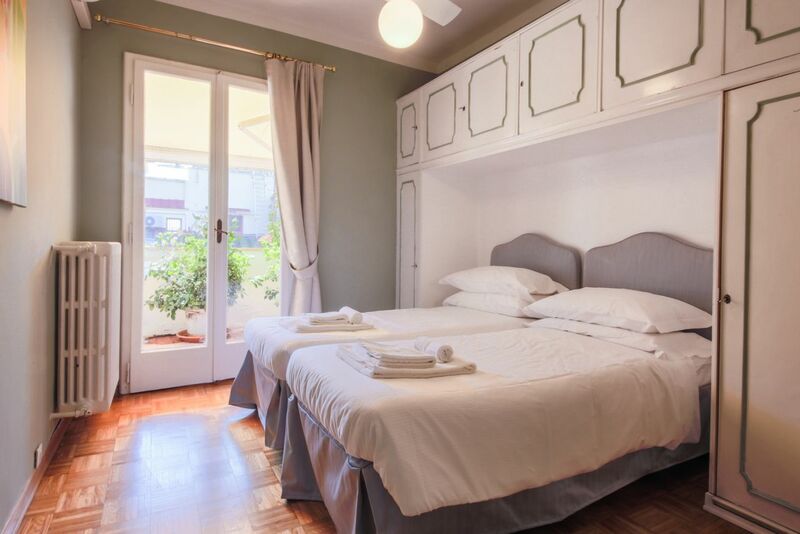 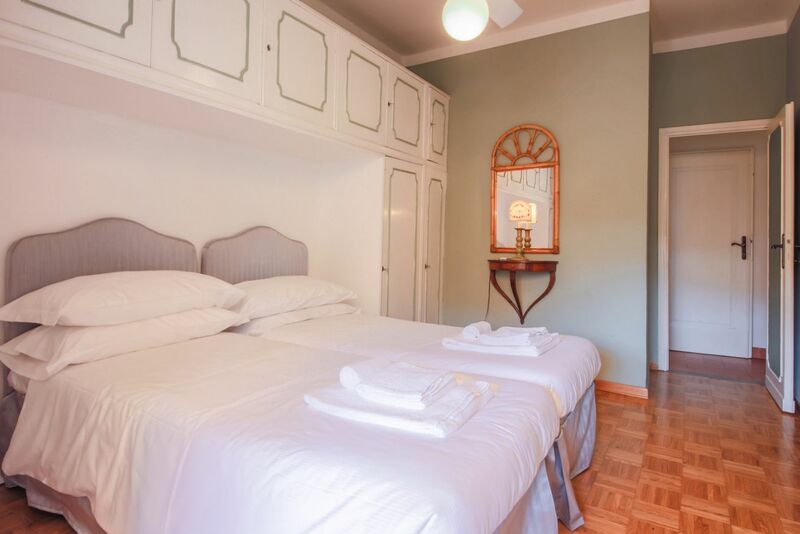 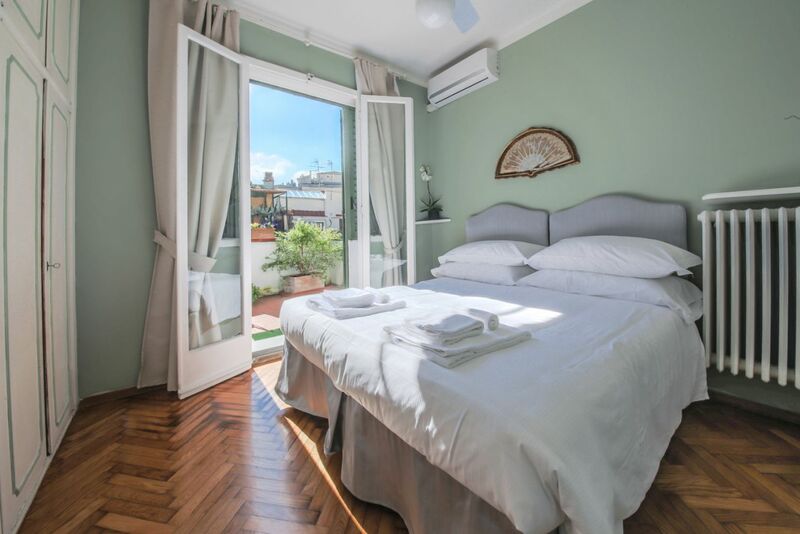 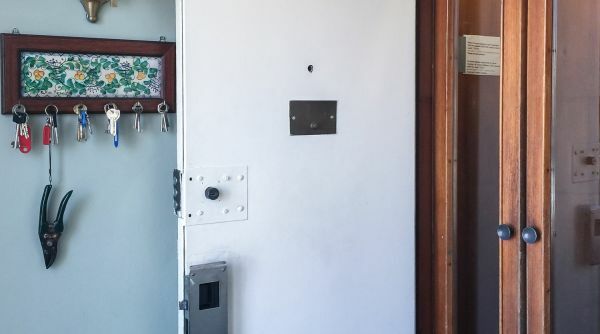 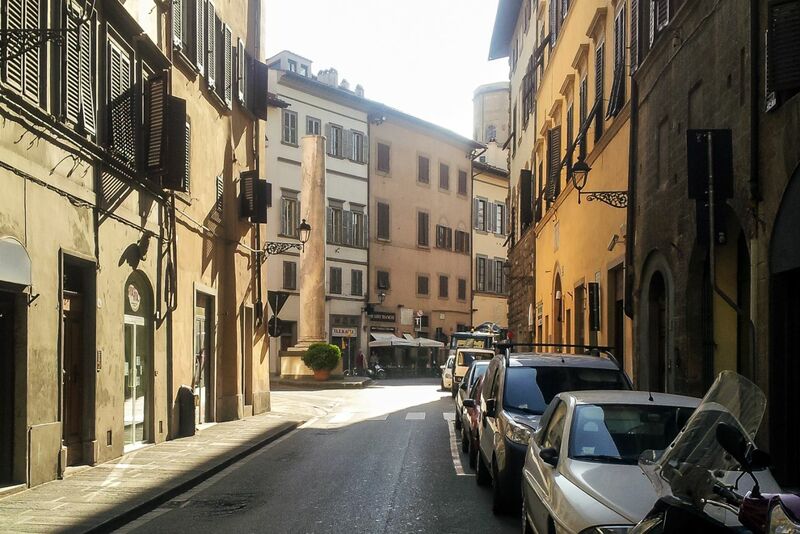 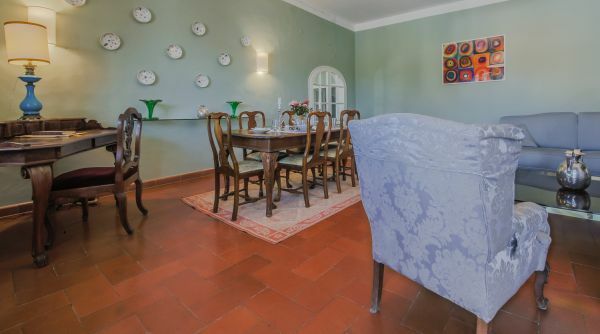 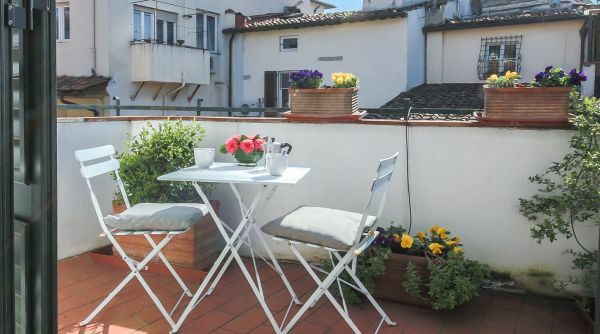 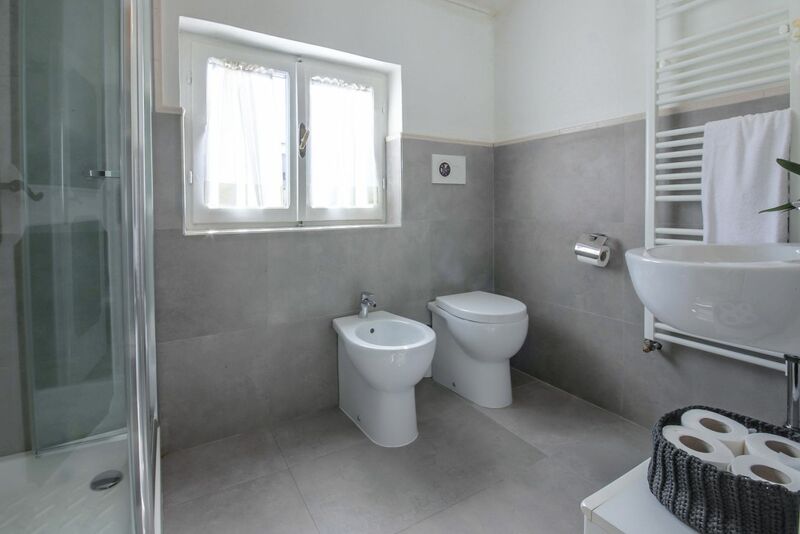 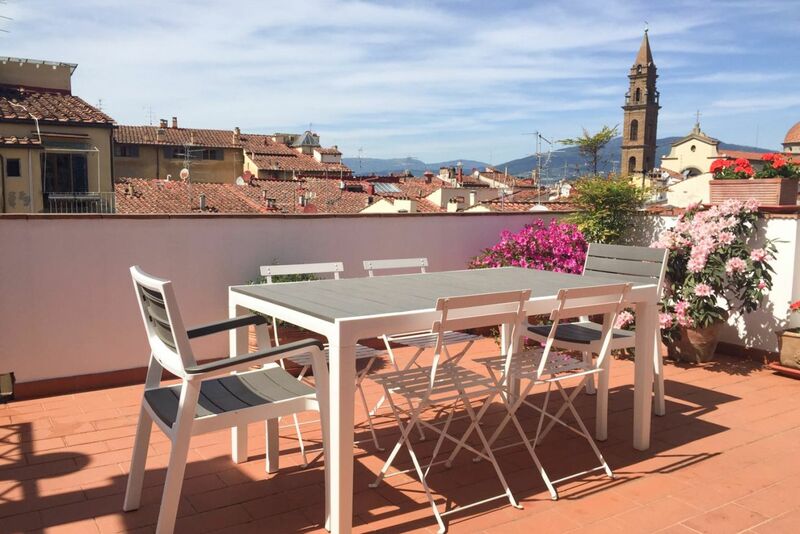 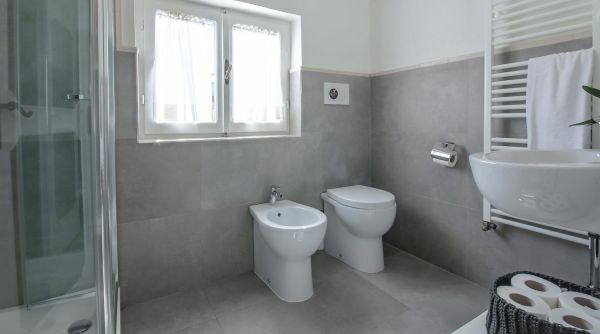 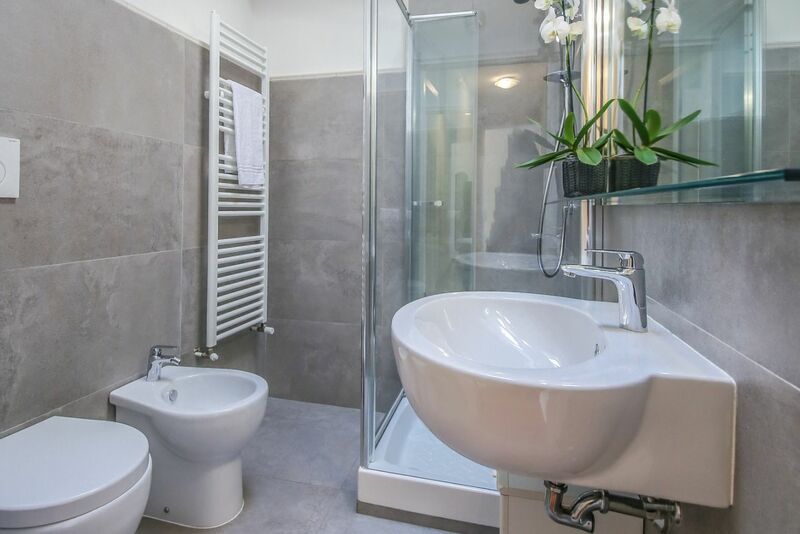 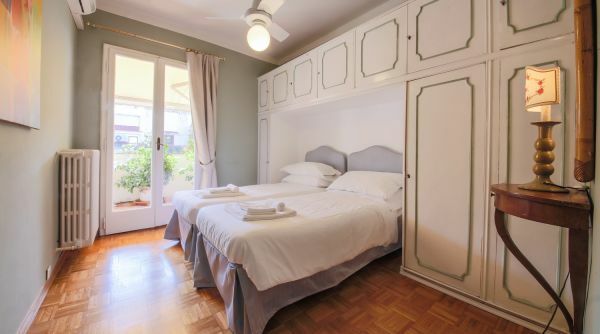 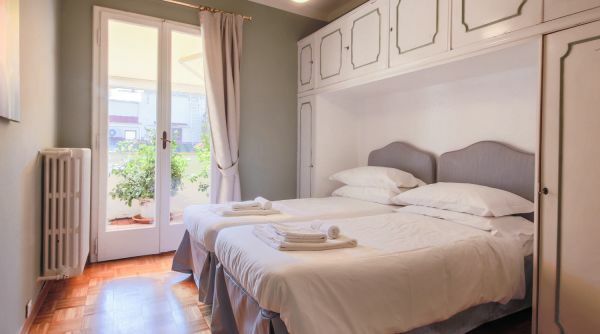 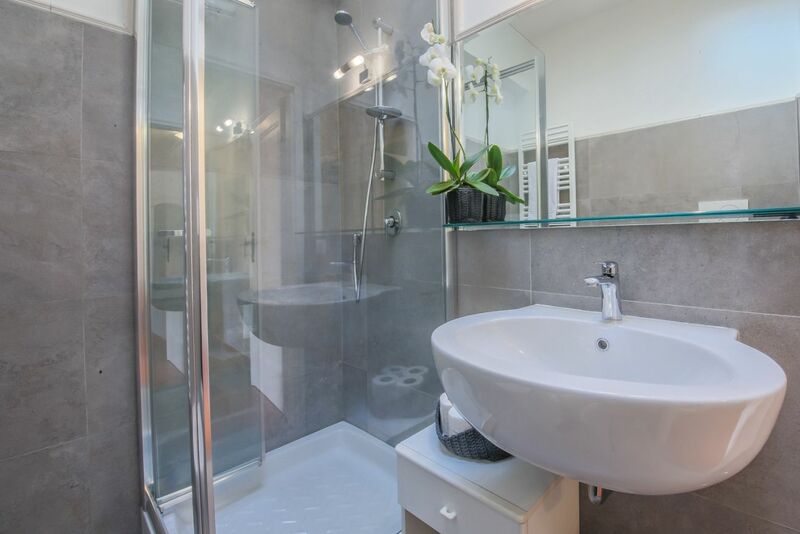 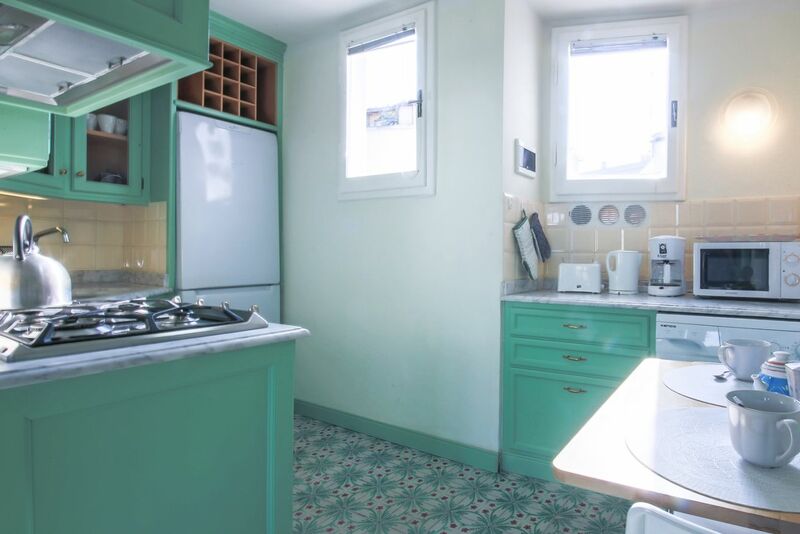 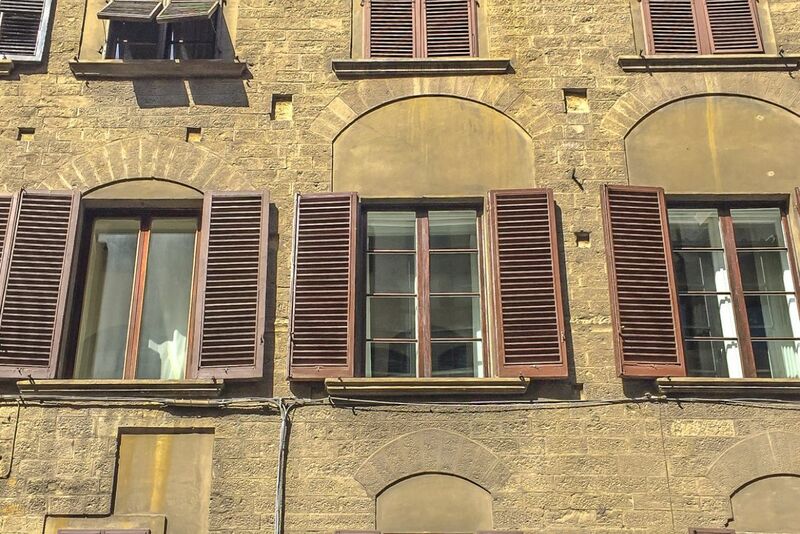 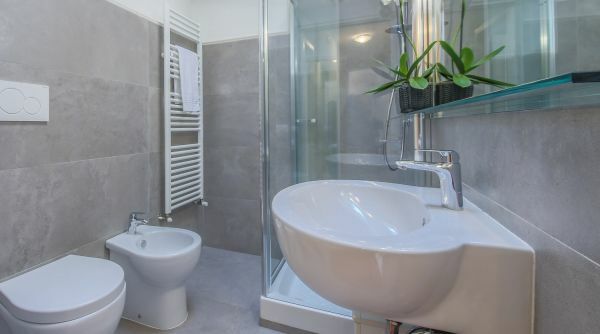 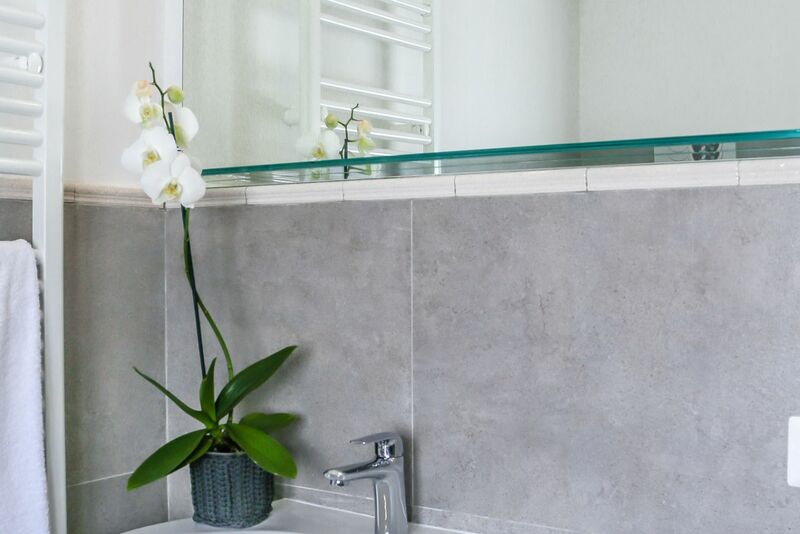 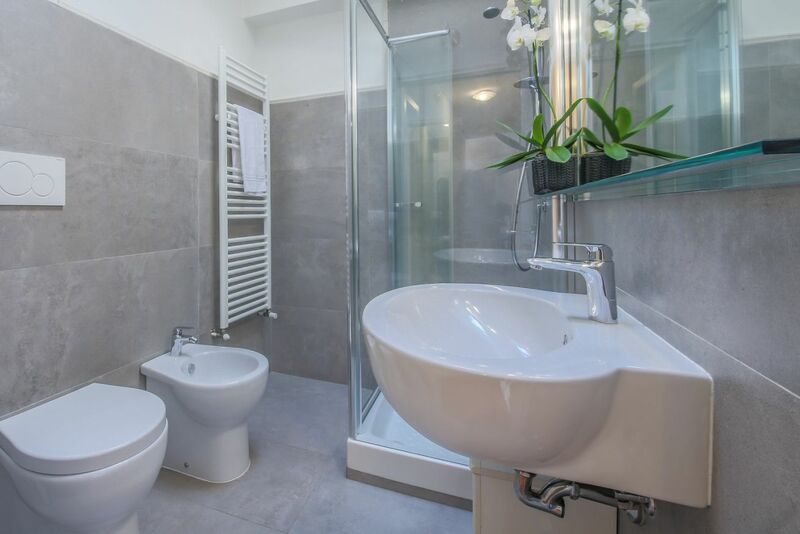 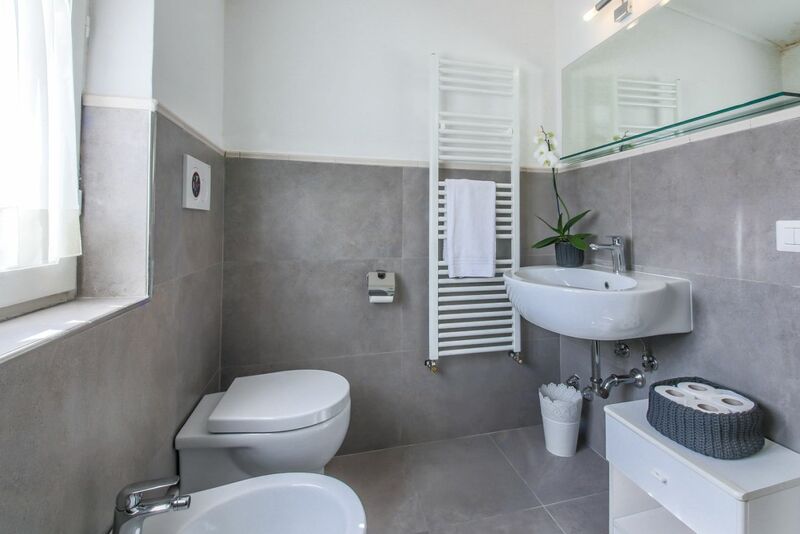 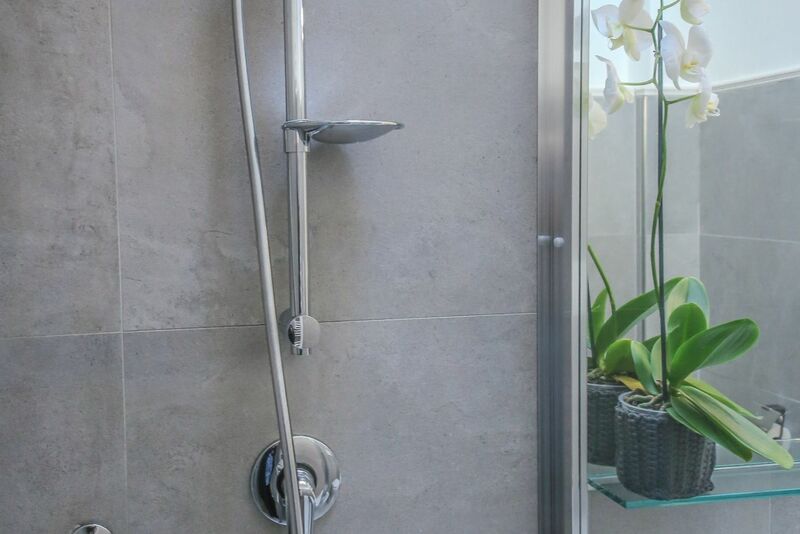 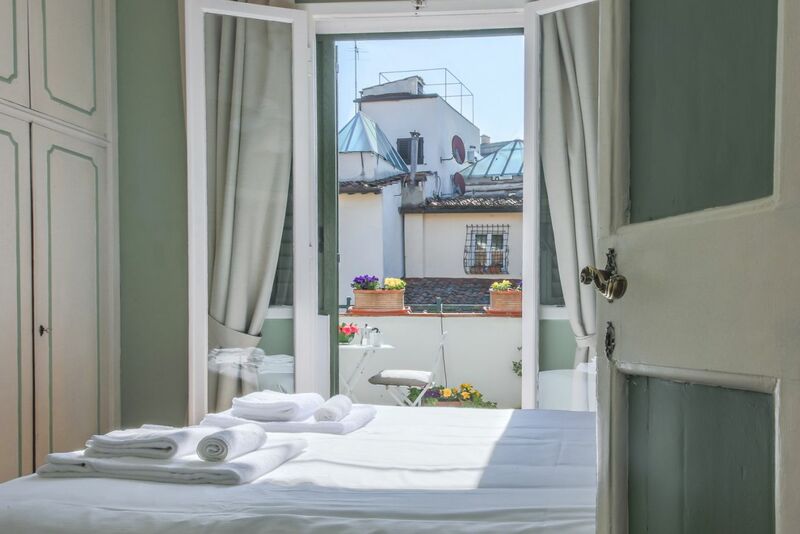 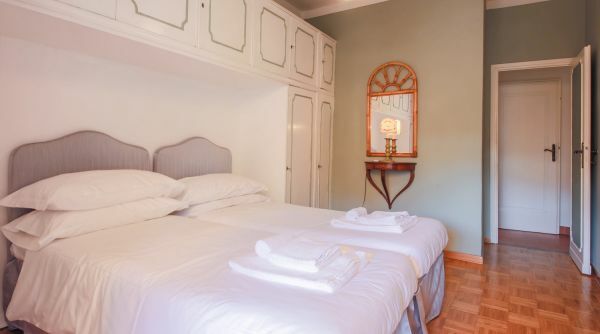 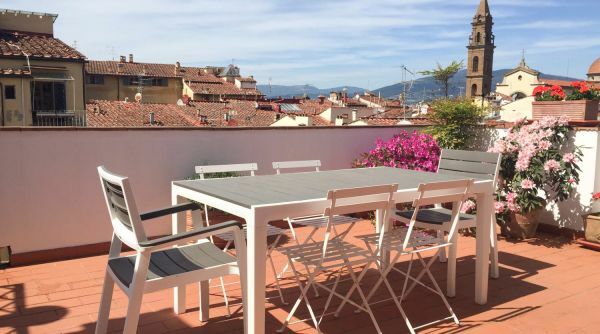 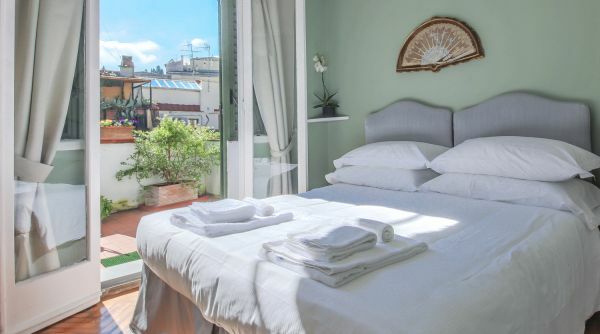 The apartment is located a 1-minute walk from Boboli and Palazzo Pitti, and an 8-minute walk from the Ponte Vecchio, and there are many restaurants, cafes, supermarkets and pharmacies, reachable in no time. 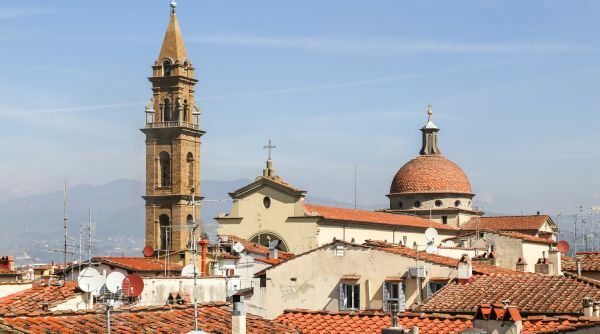 The Central Station of Santa Maria Novella, is about 20 minutes’ walk, and in front of the house there is a bus station.